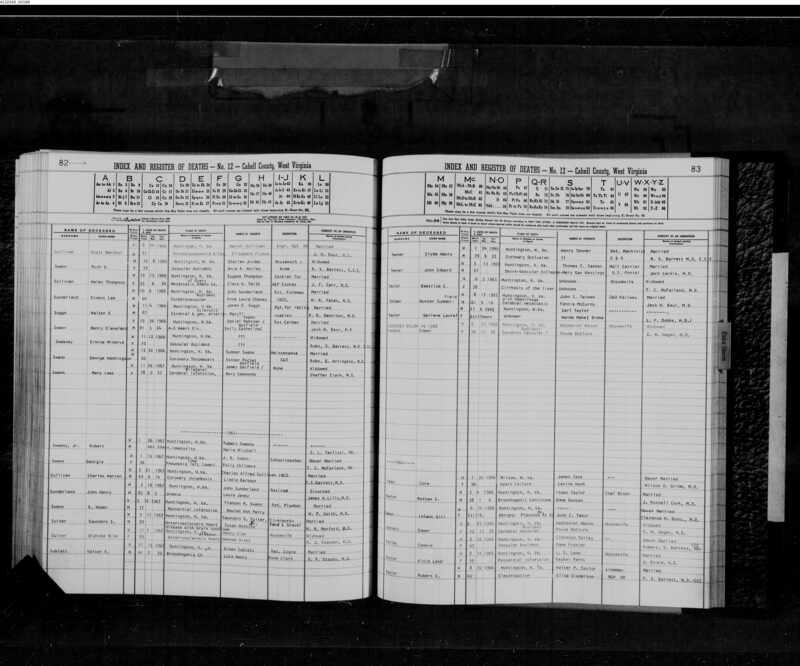 This is a library of collected documents to aid in family research. 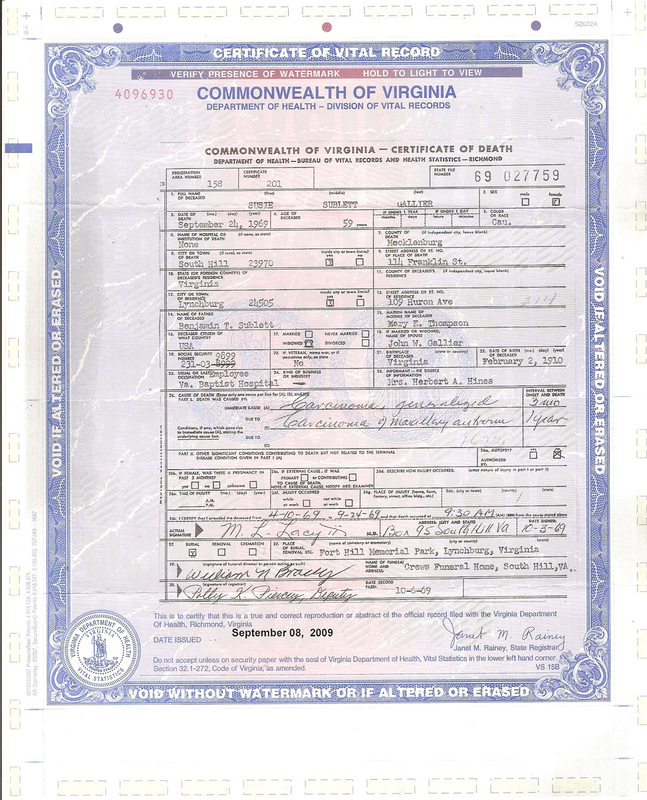 Each entry has a link to view a full-sized image of the original document, which can be saved to your hard drive or printed. 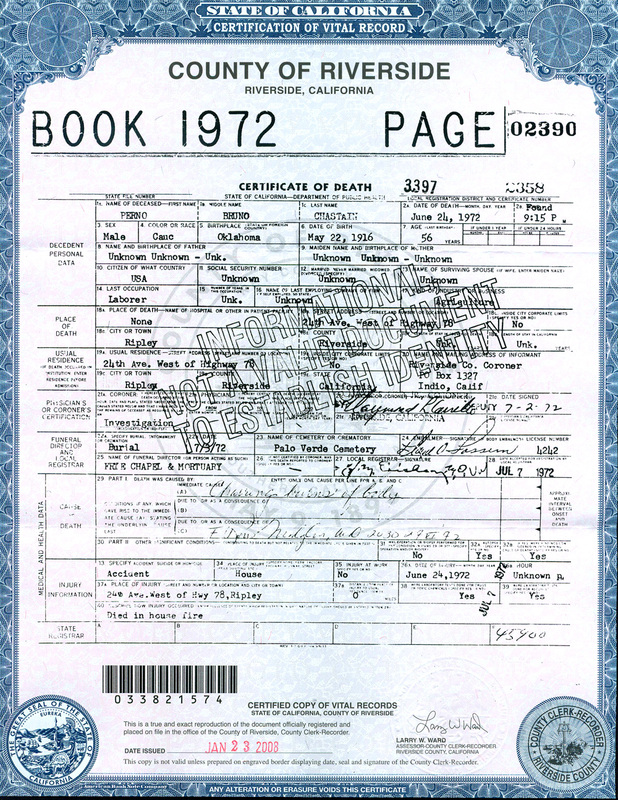 To find more resources for family research, see the Family Books and Genealogy sections. 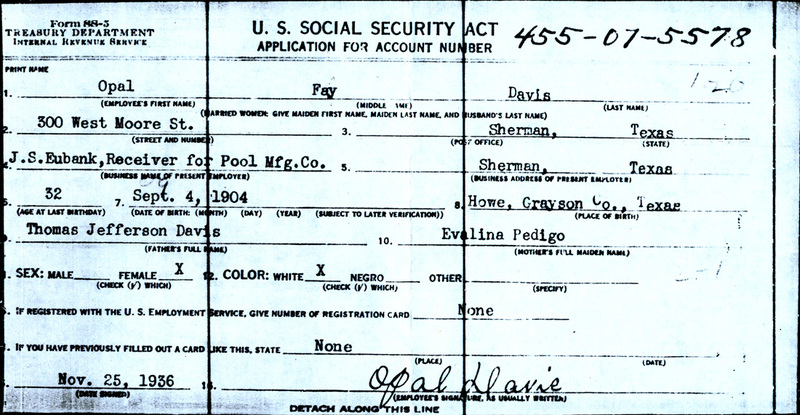 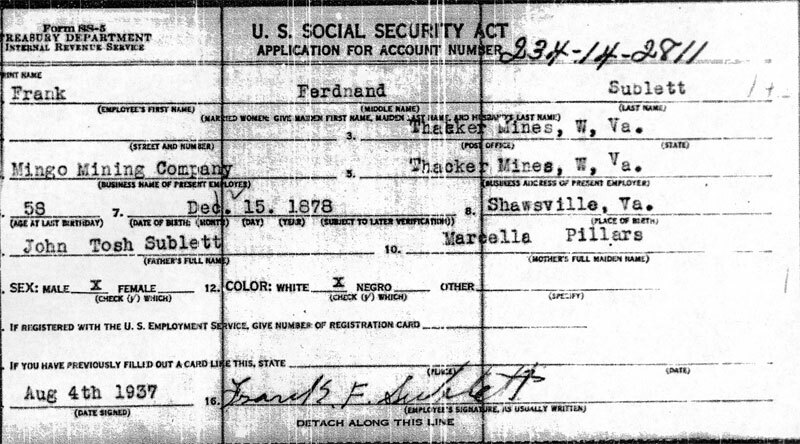 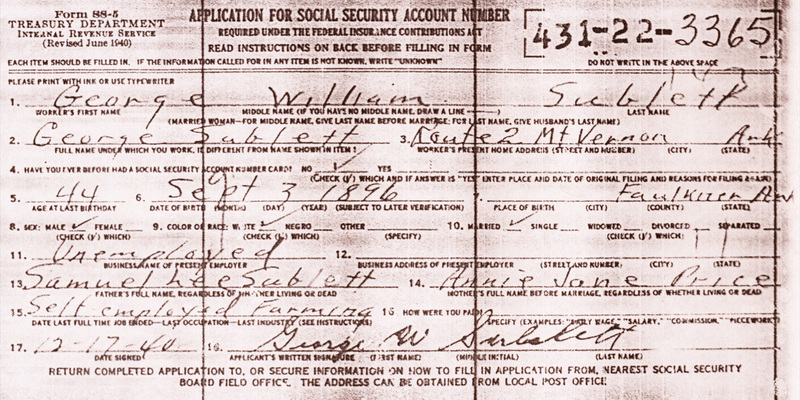 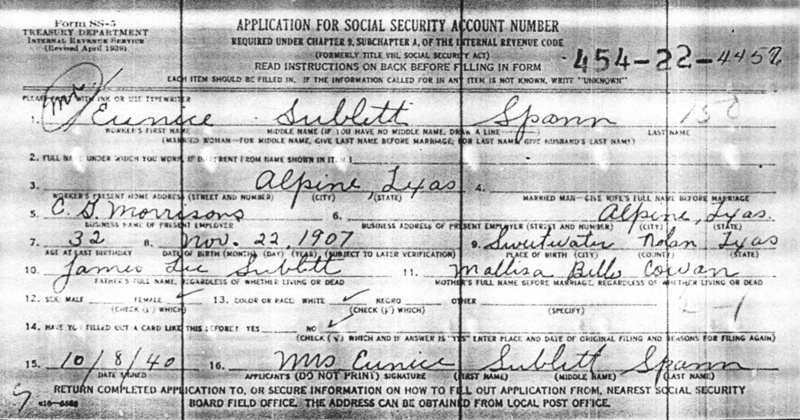 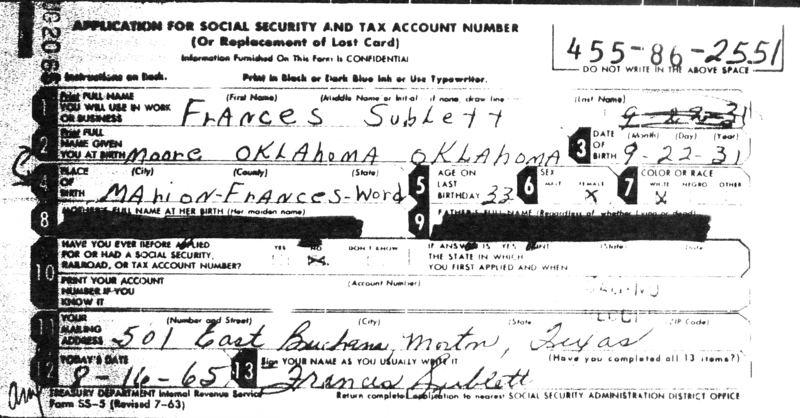 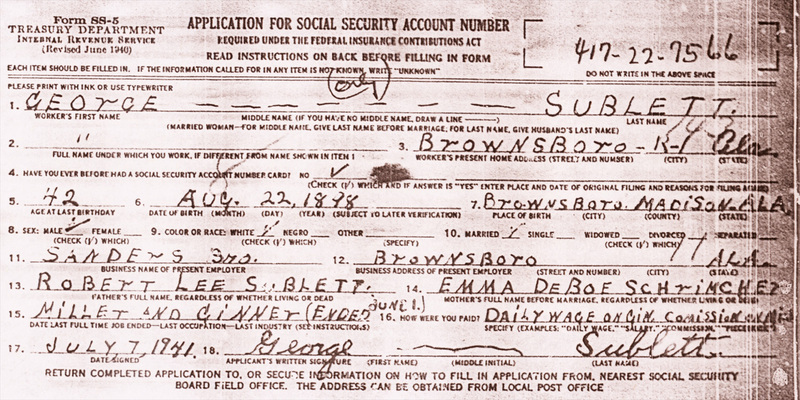 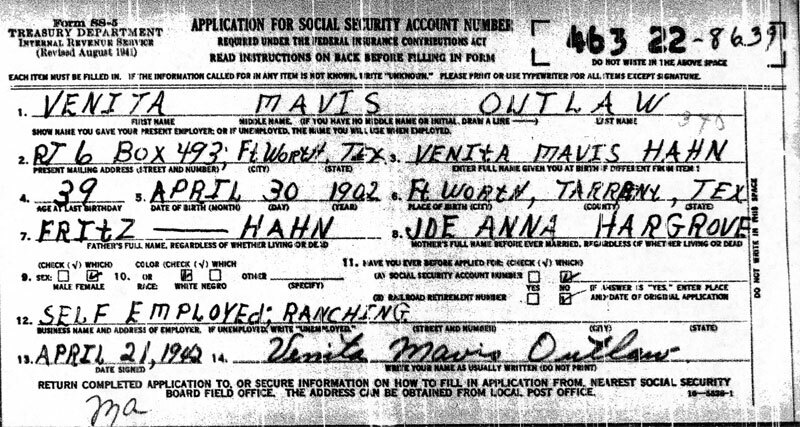 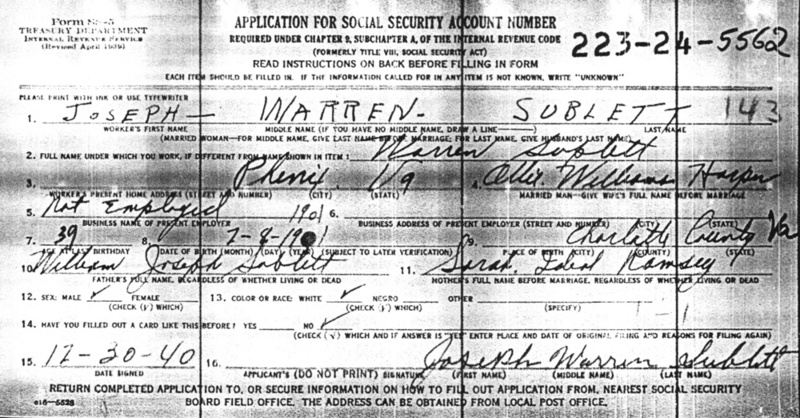 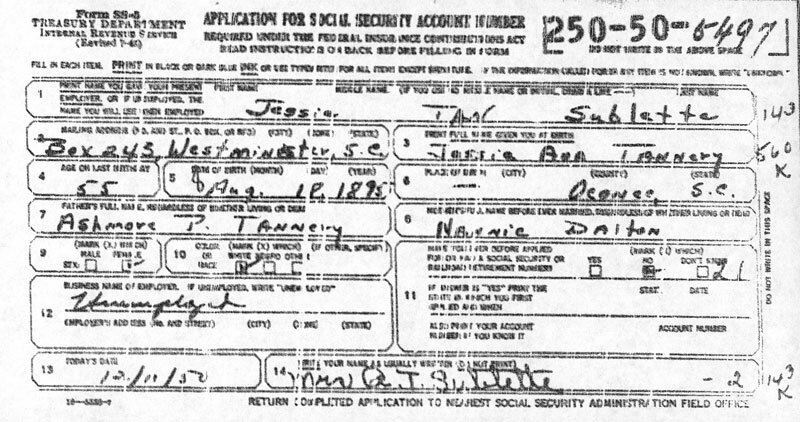 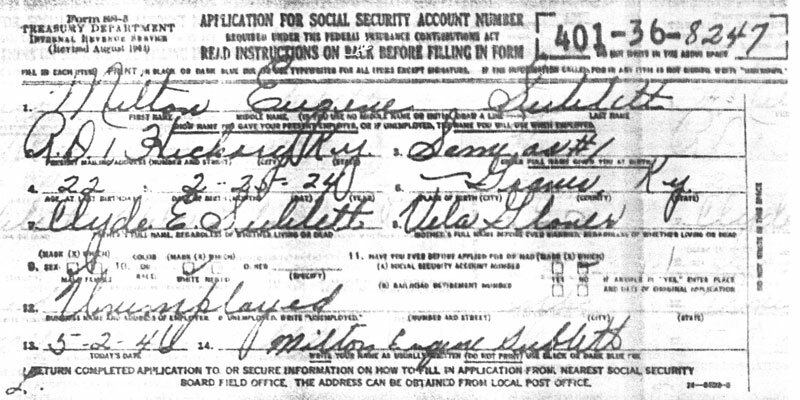 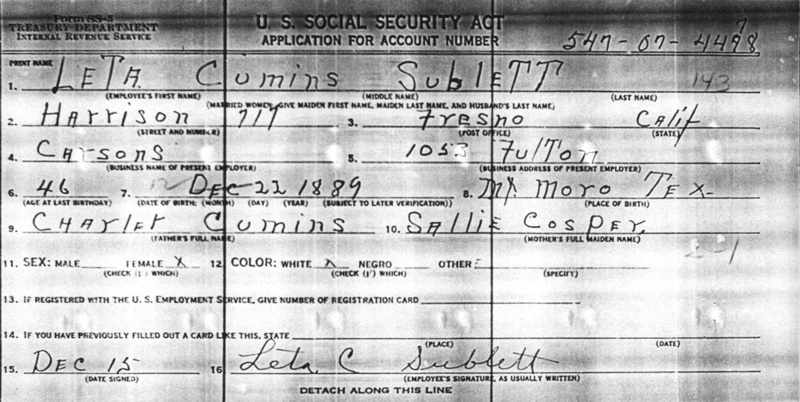 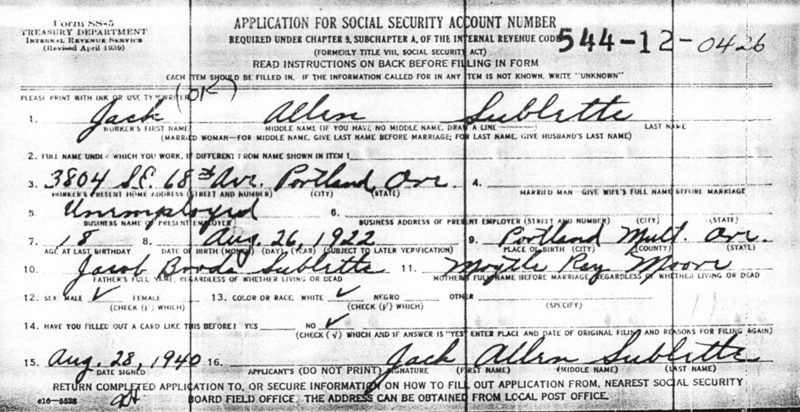 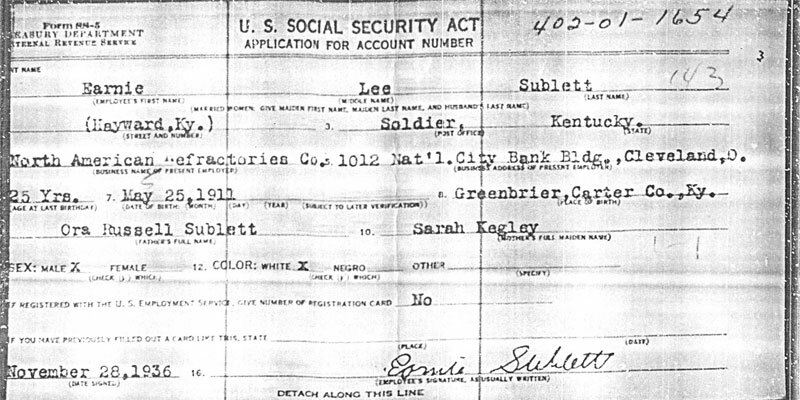 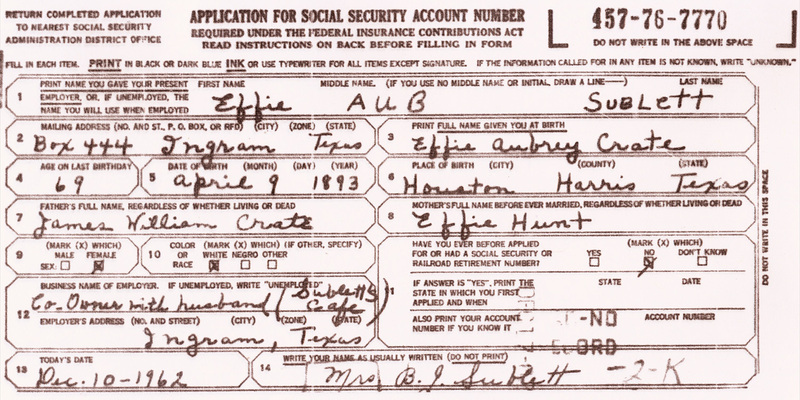 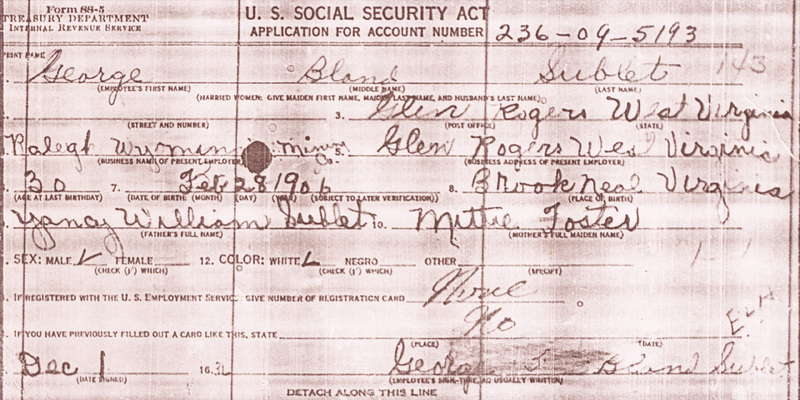 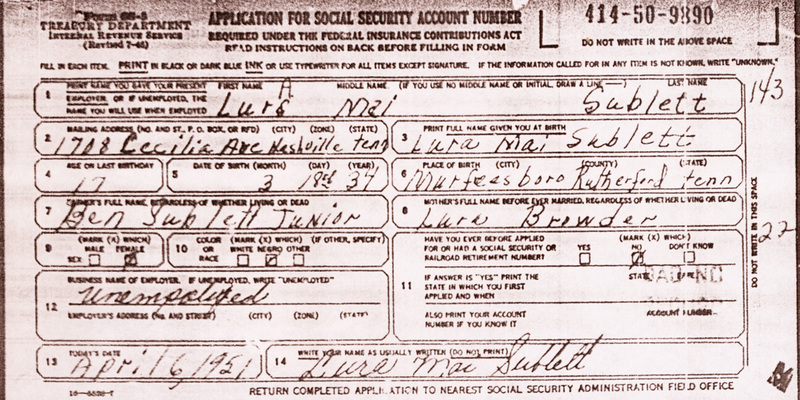 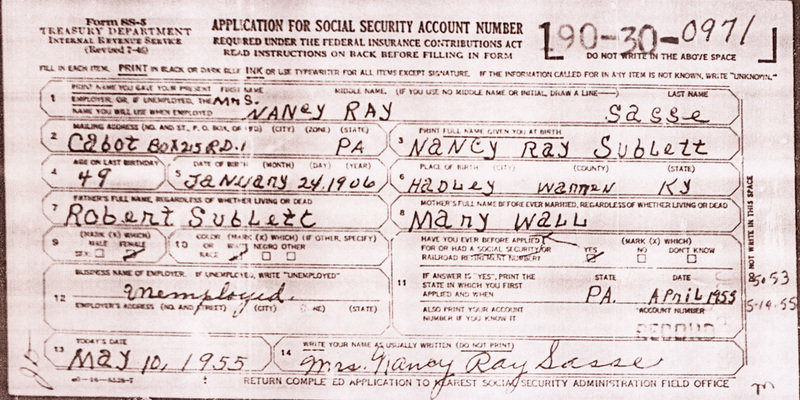 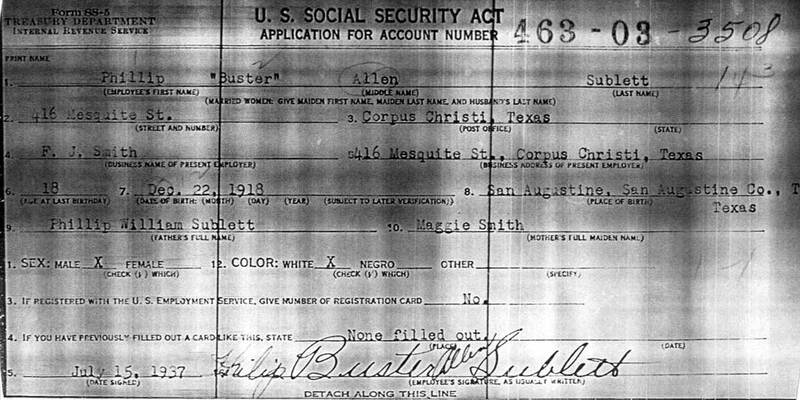 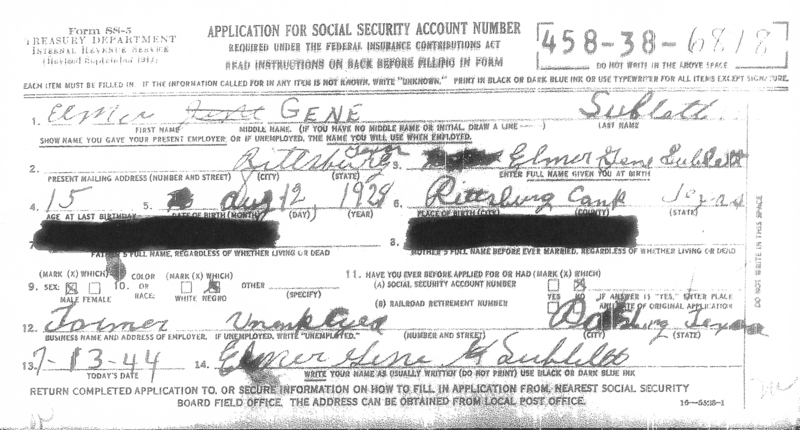 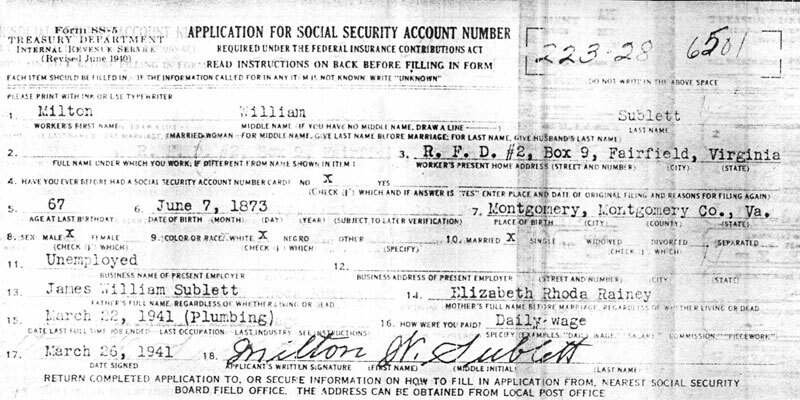 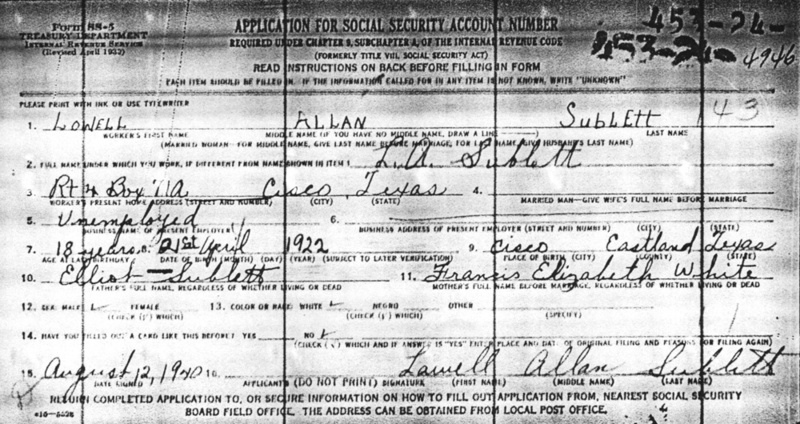 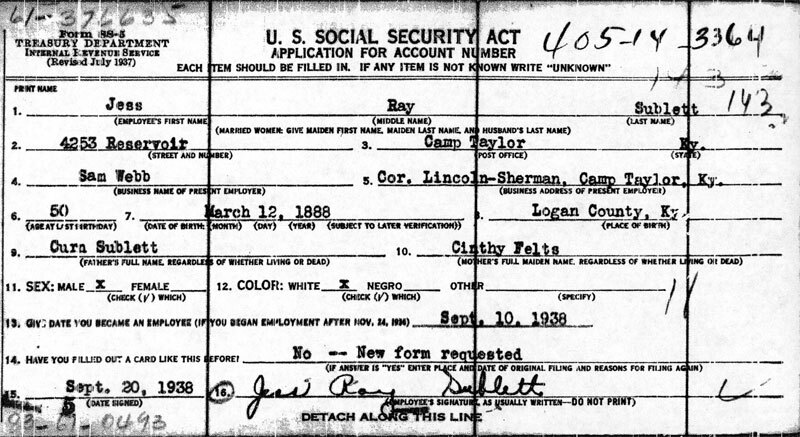 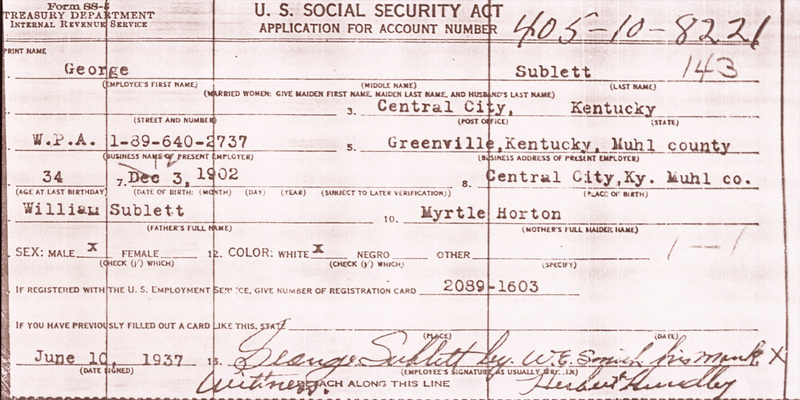 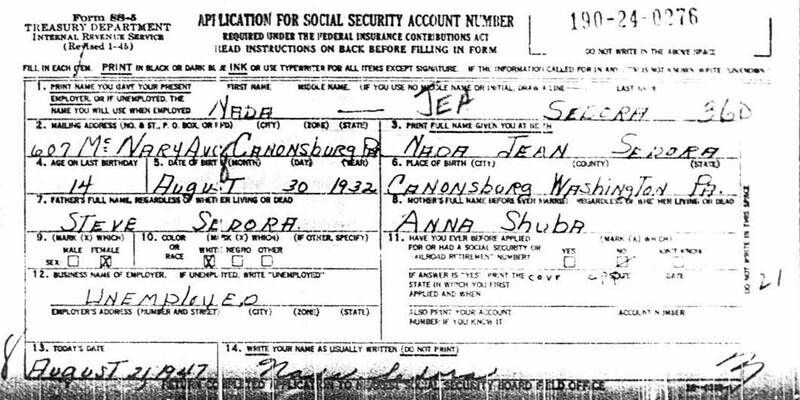 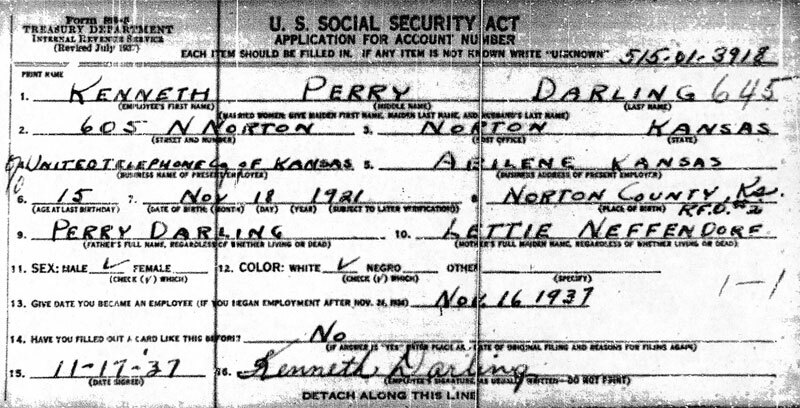 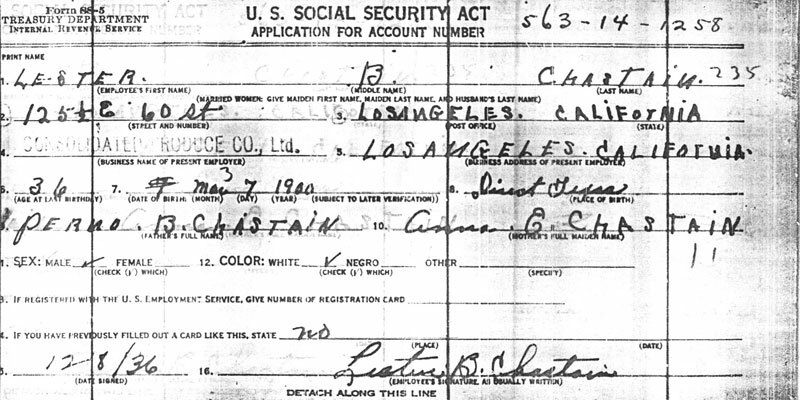 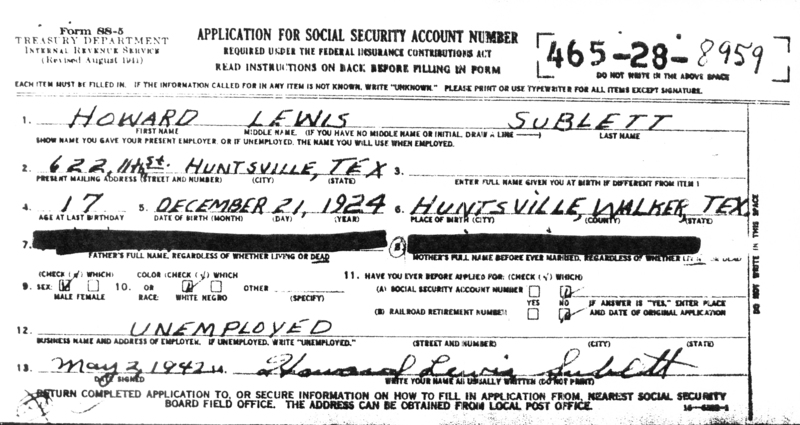 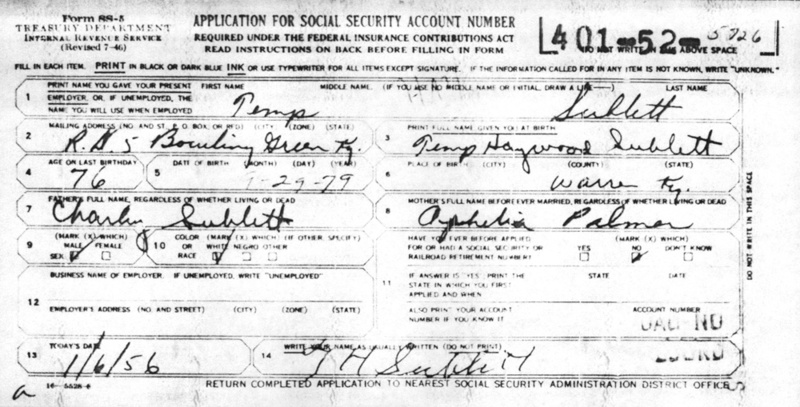 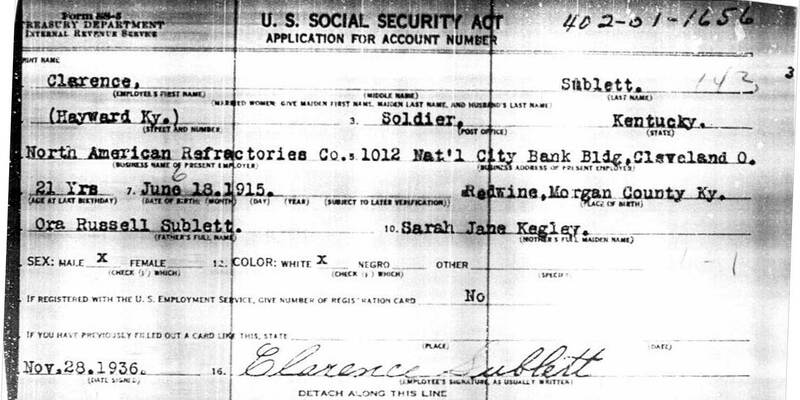 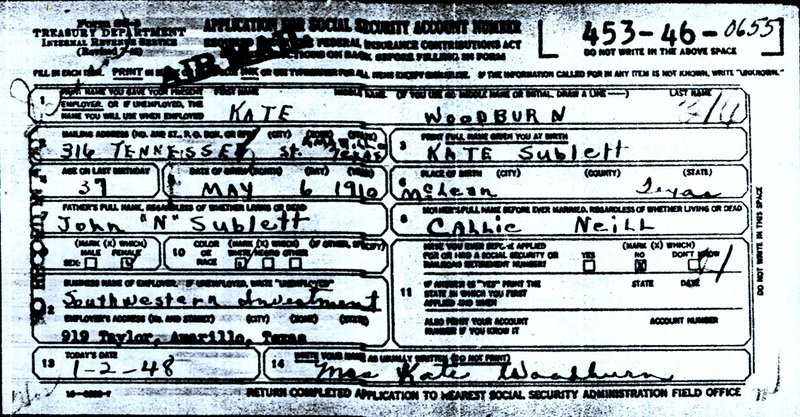 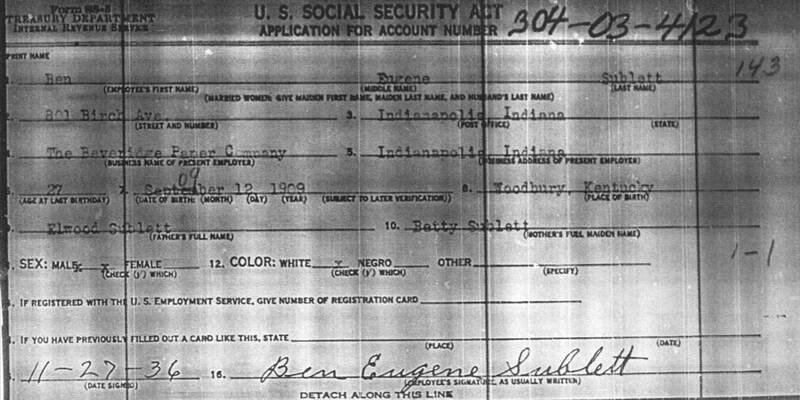 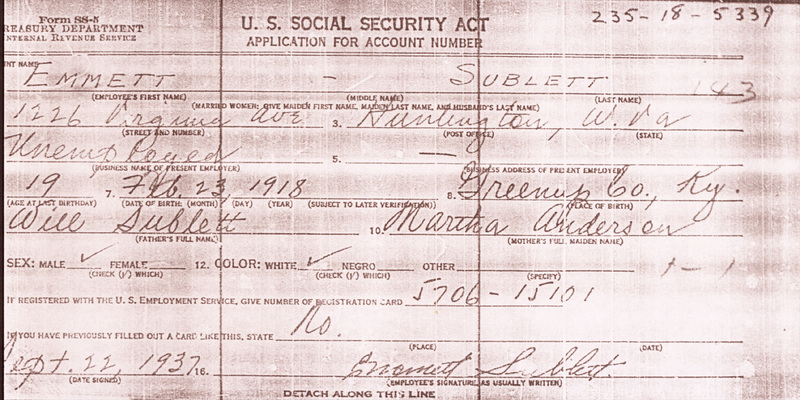 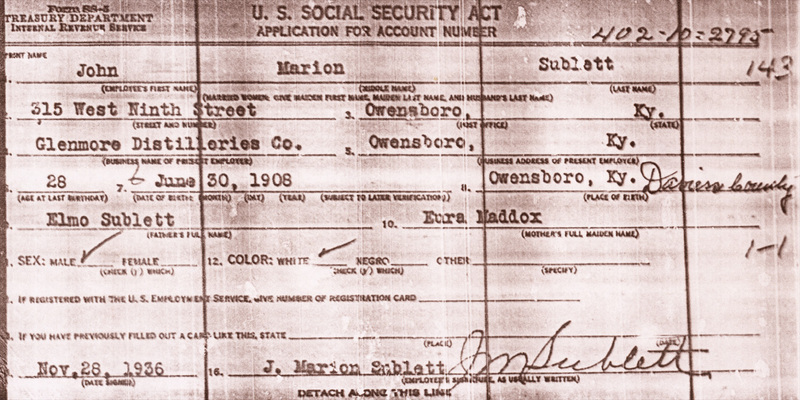 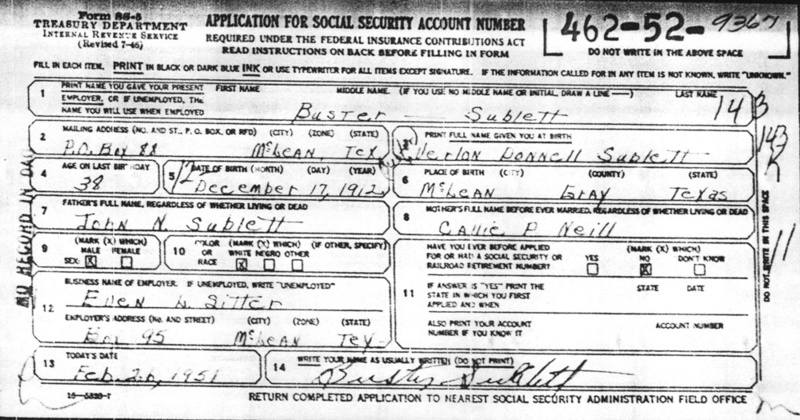 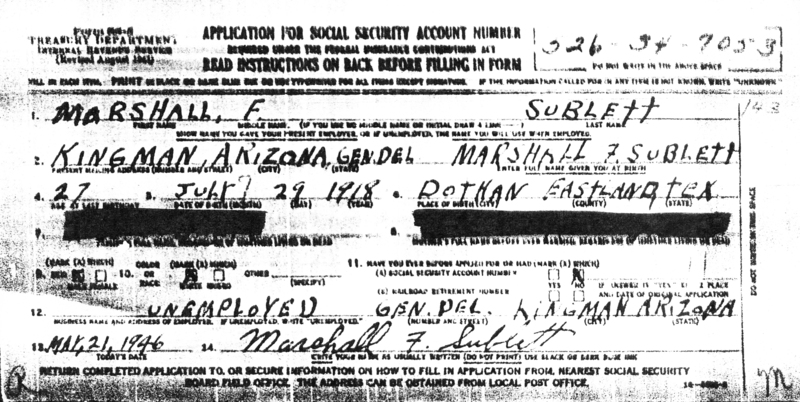 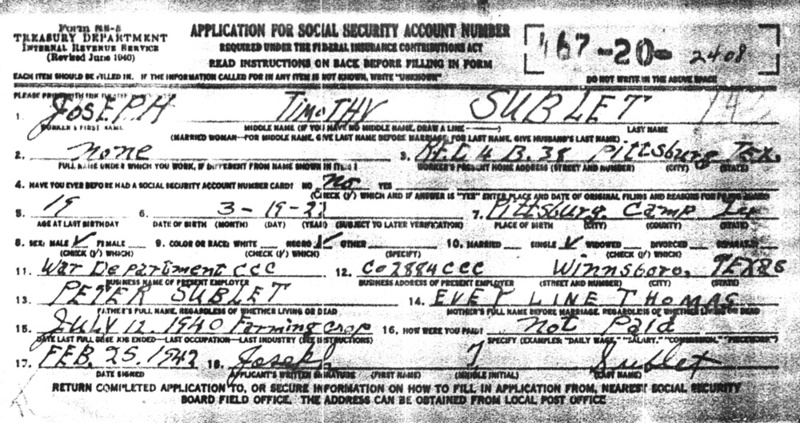 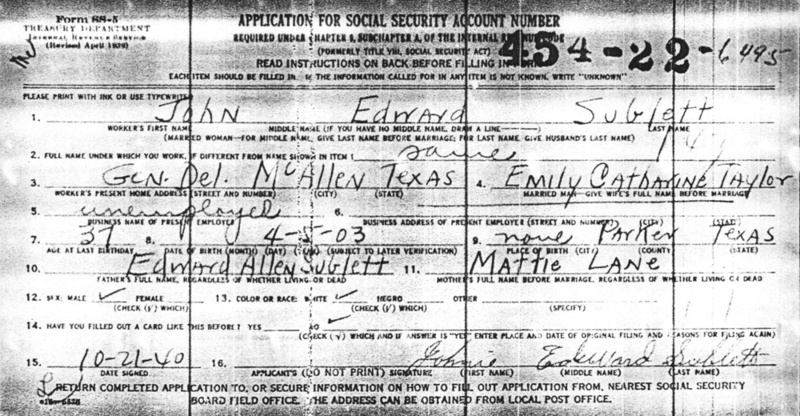 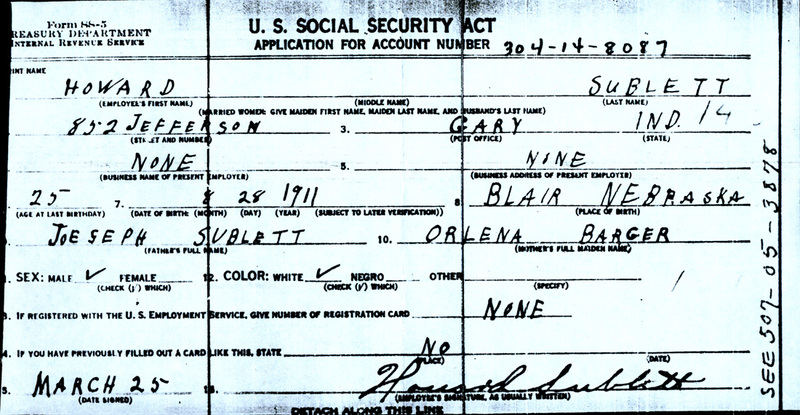 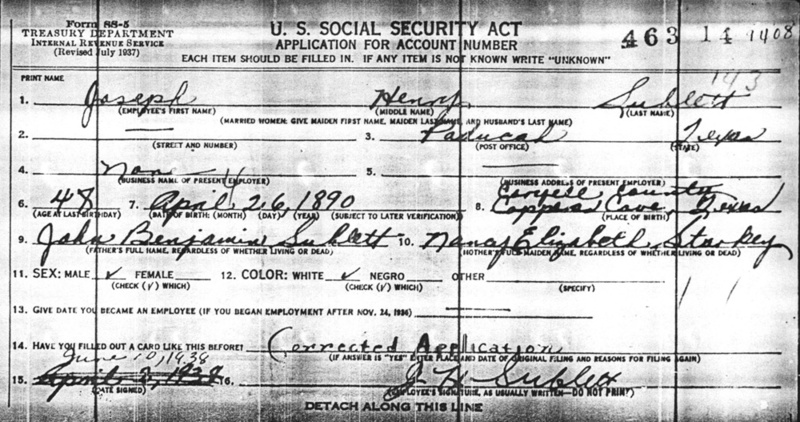 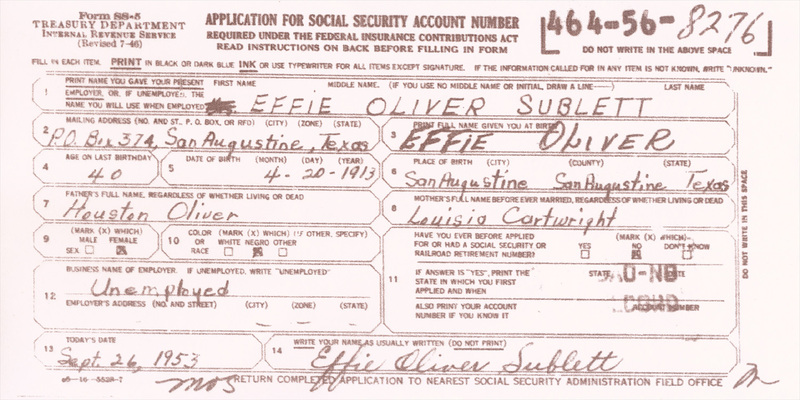 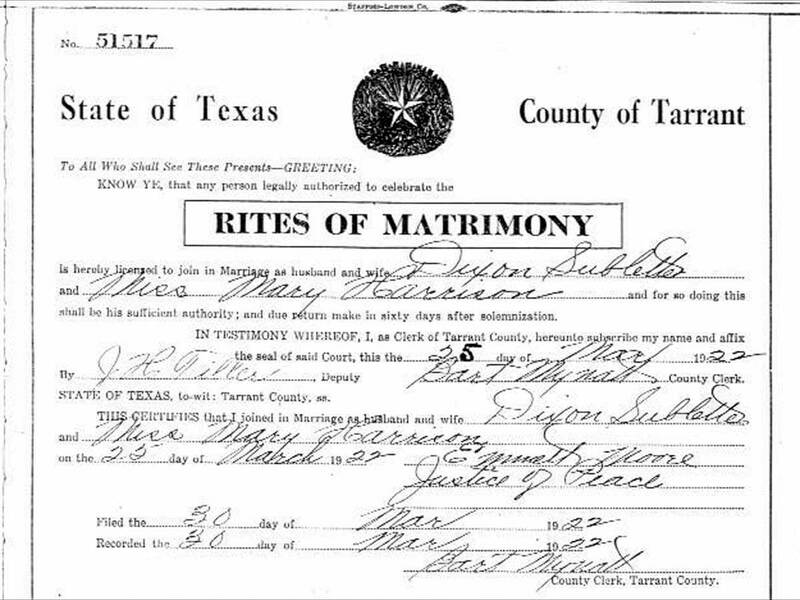 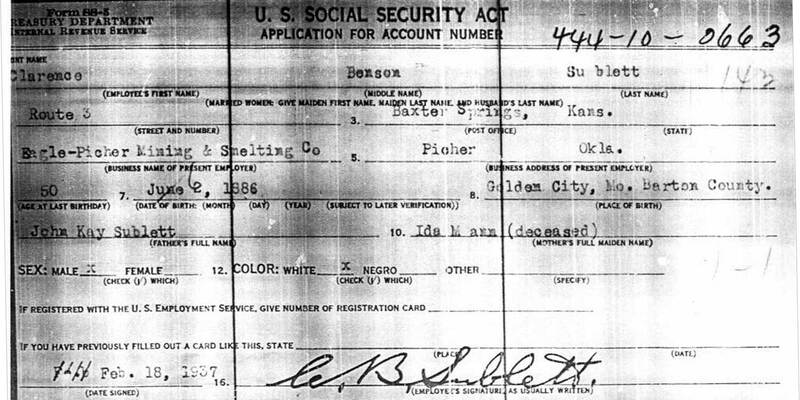 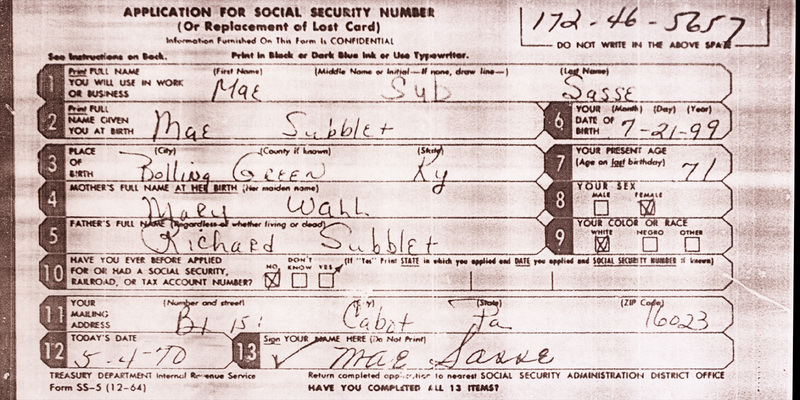 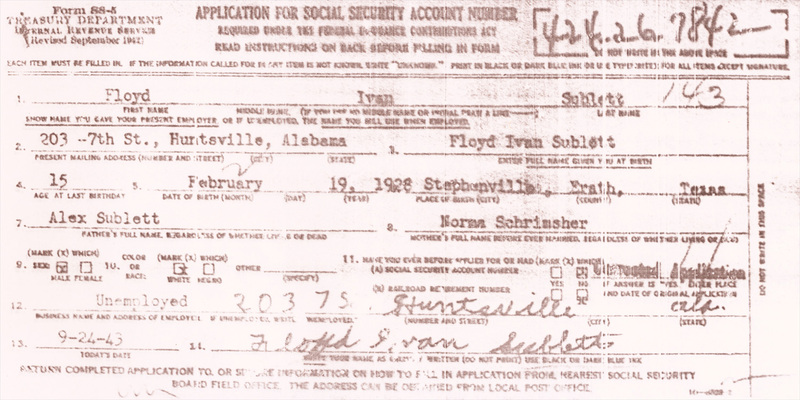 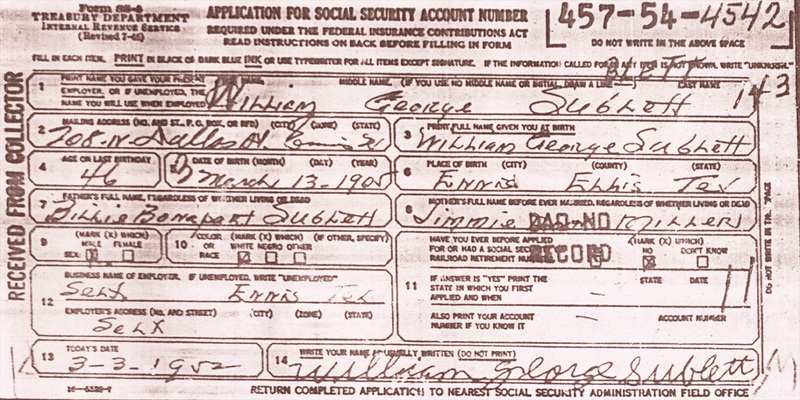 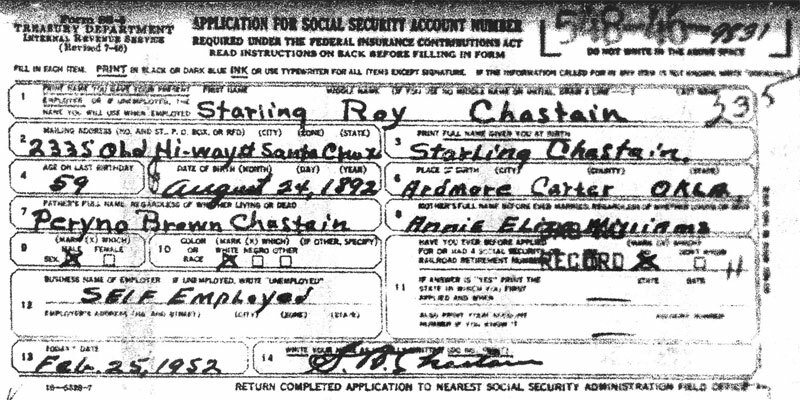 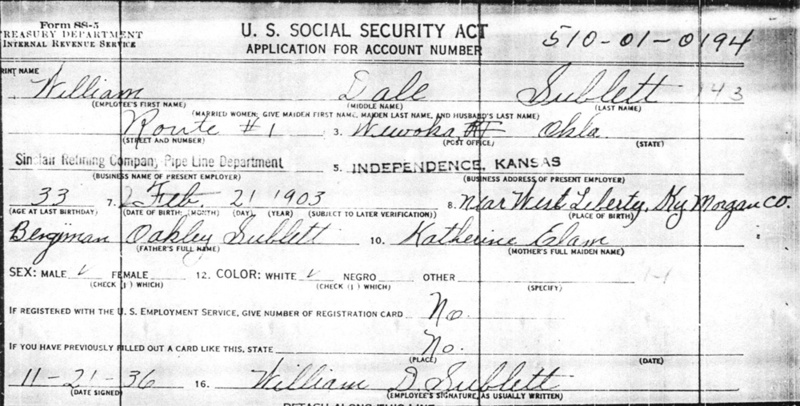 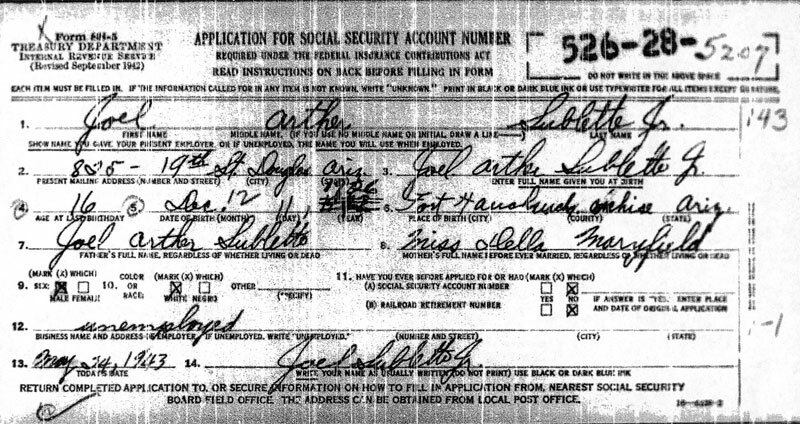 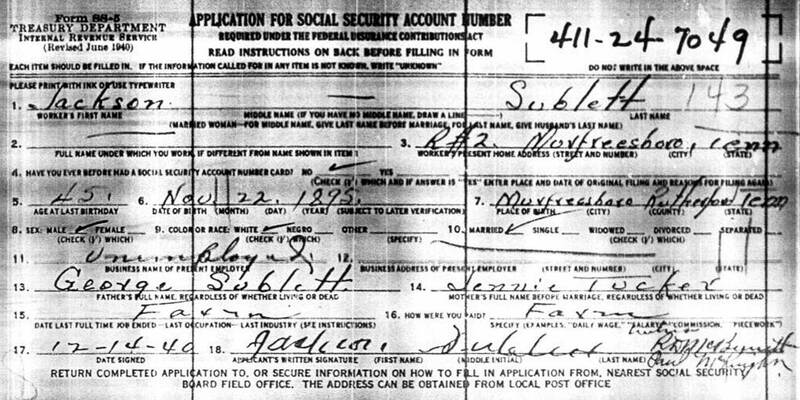 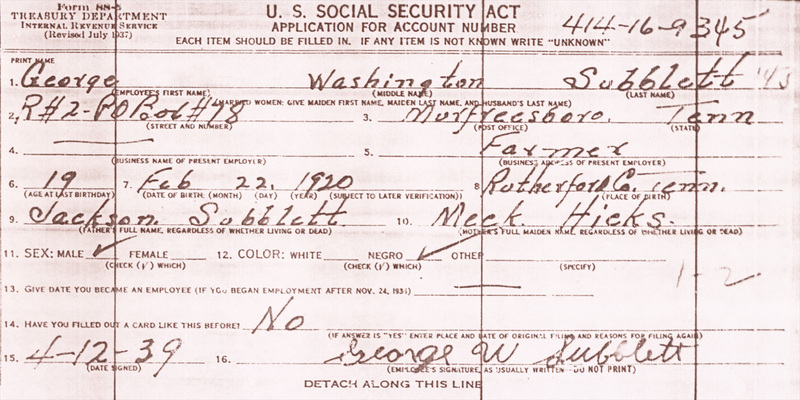 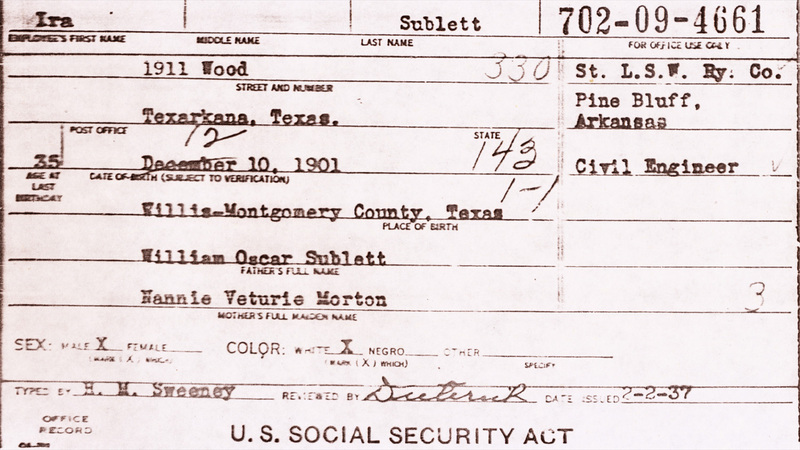 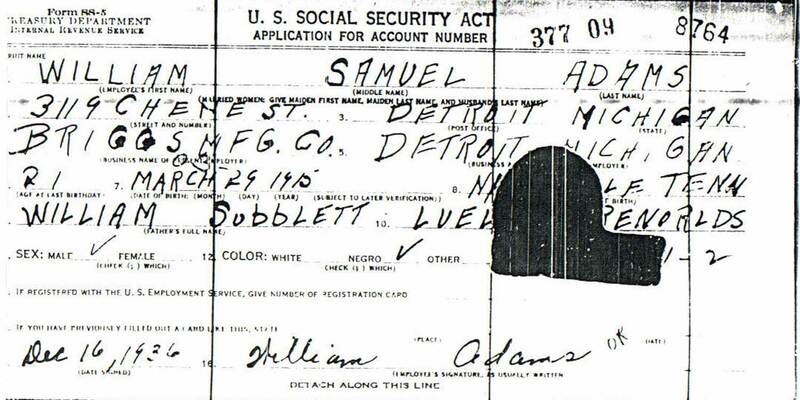 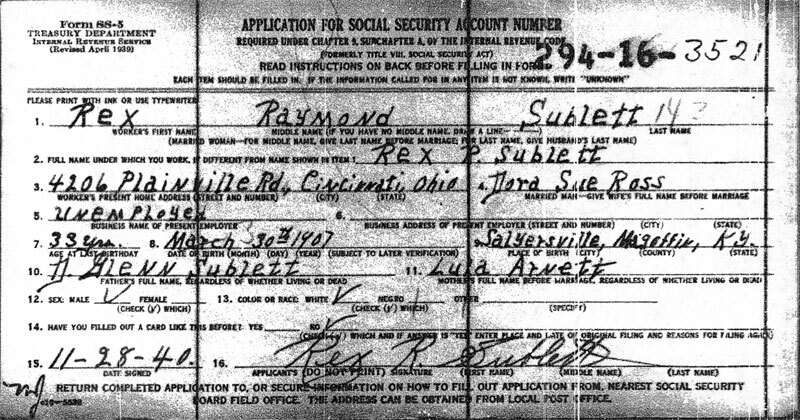 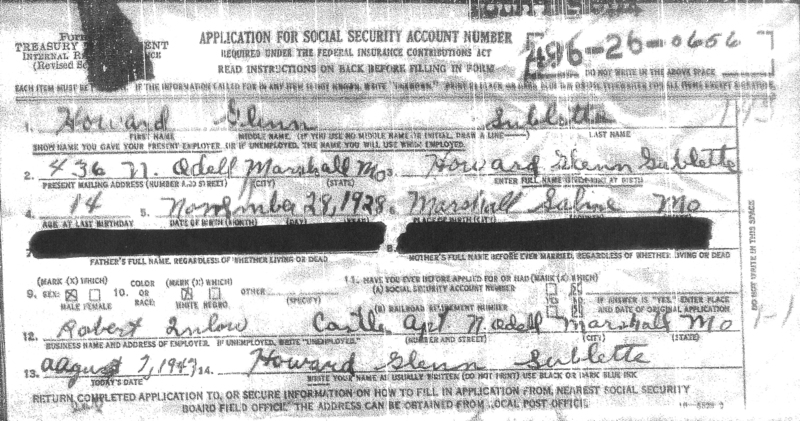 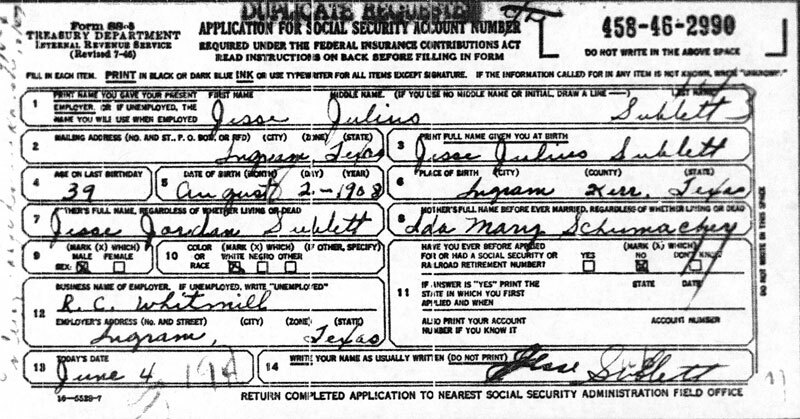 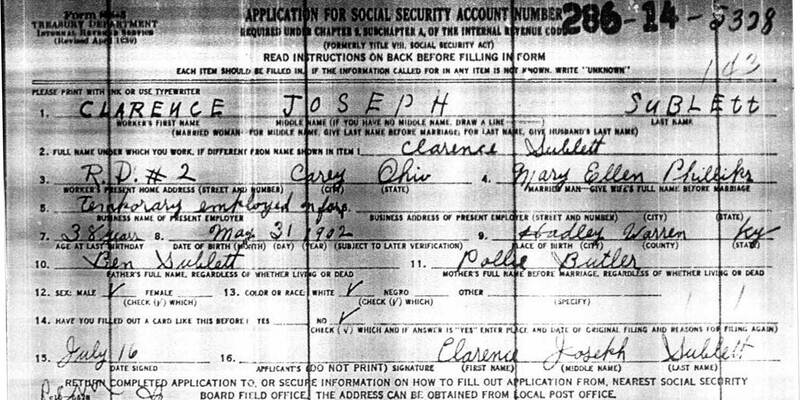 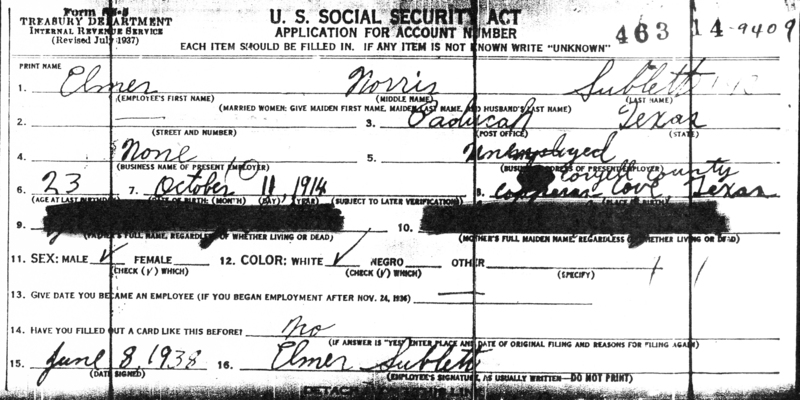 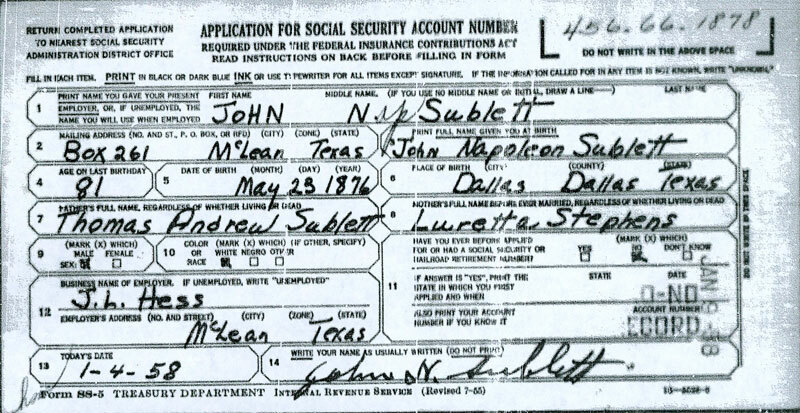 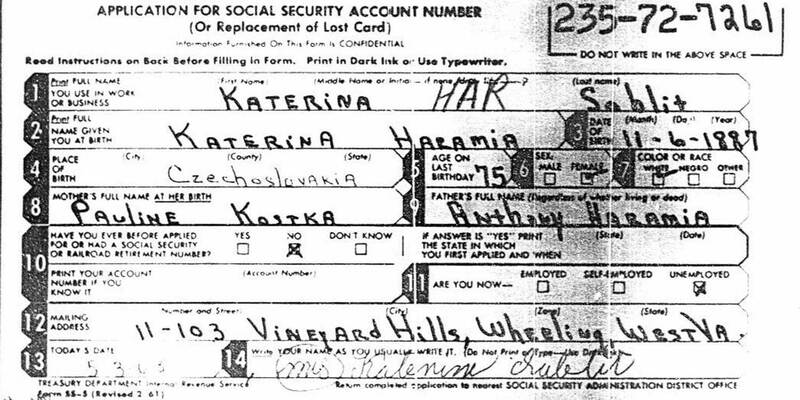 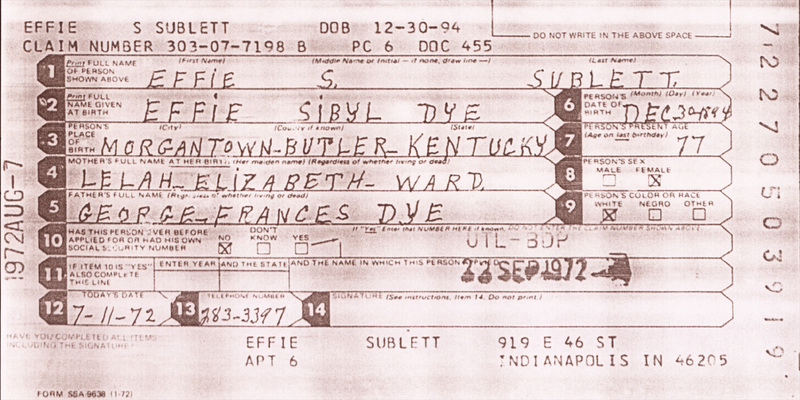 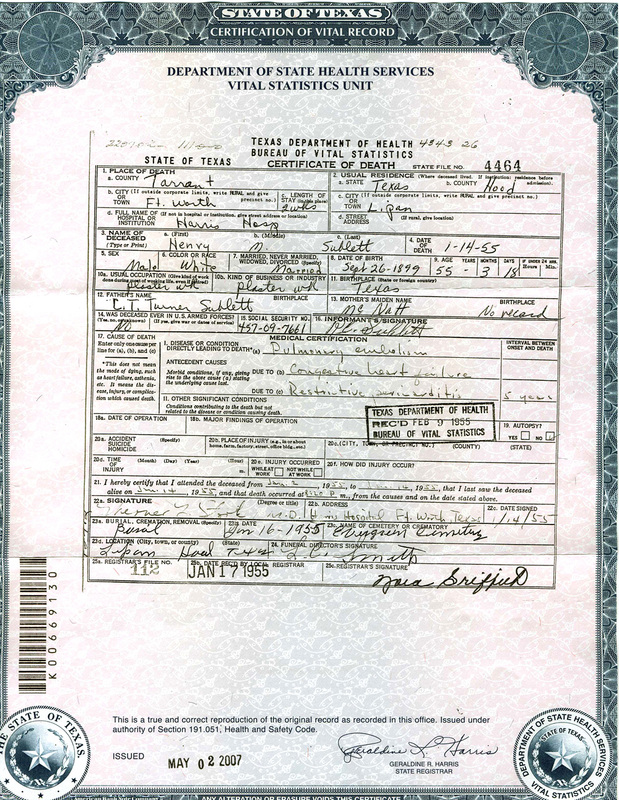 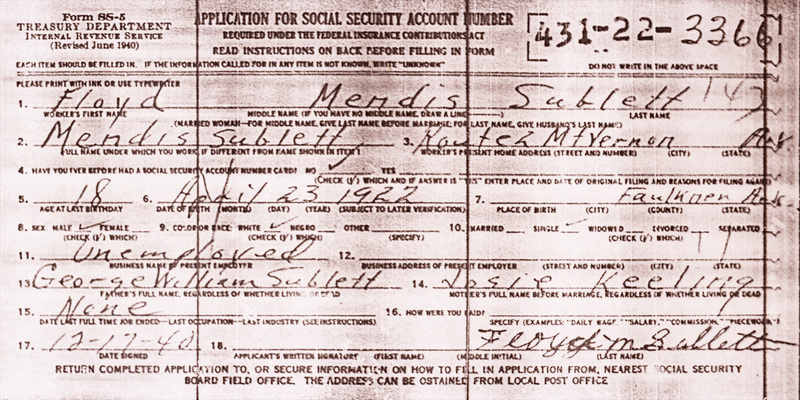 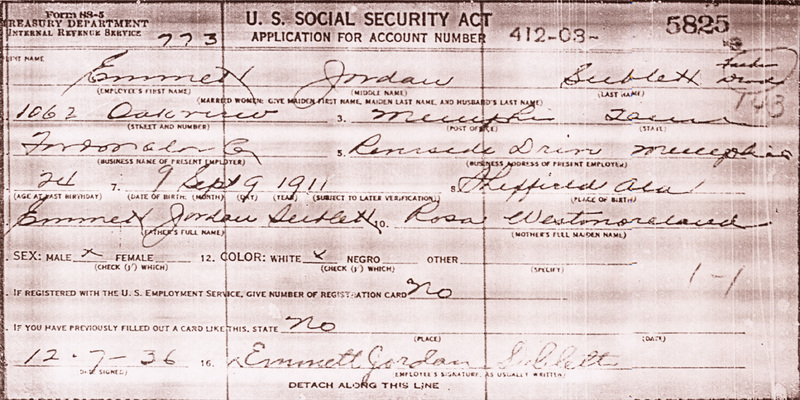 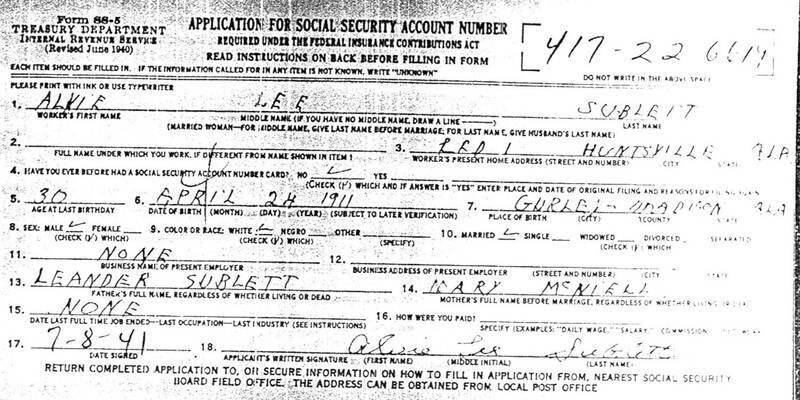 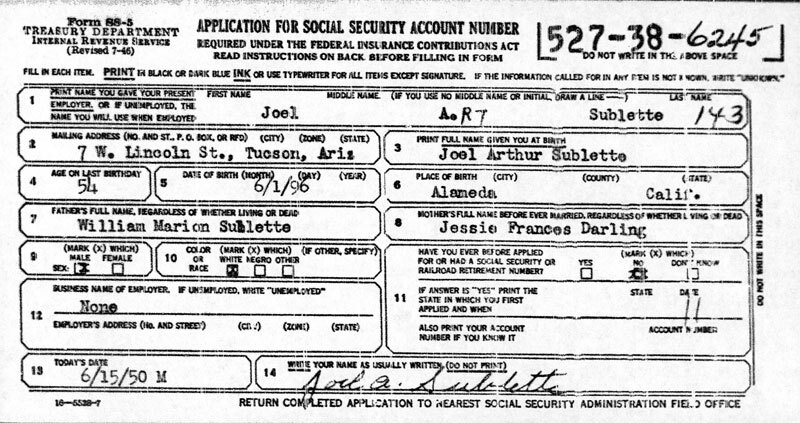 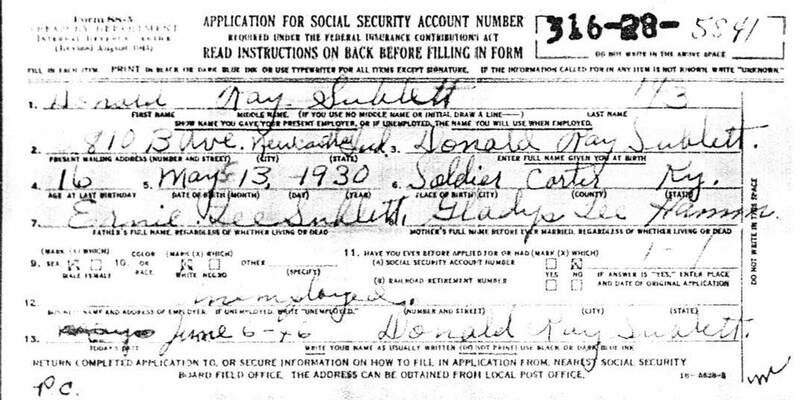 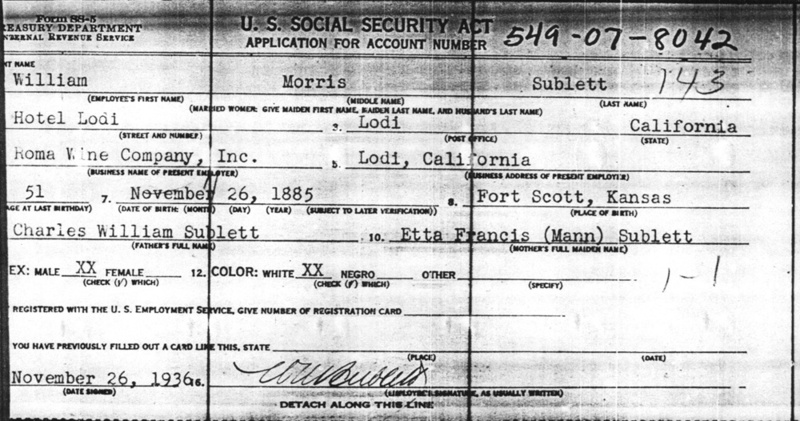 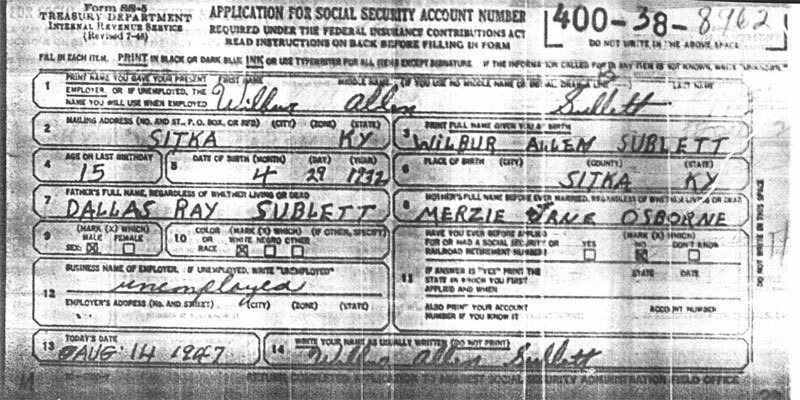 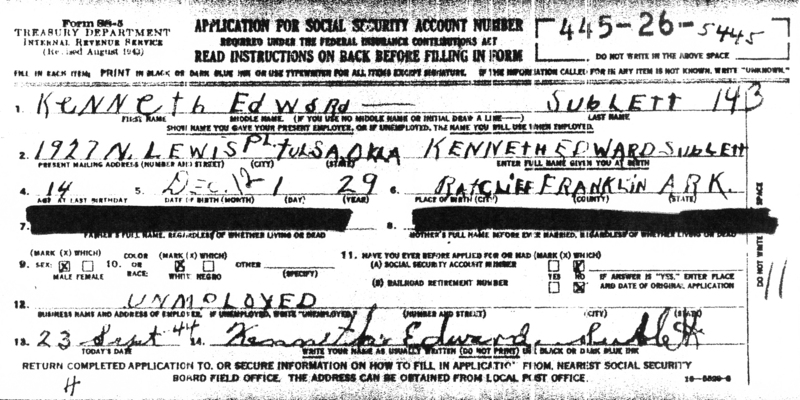 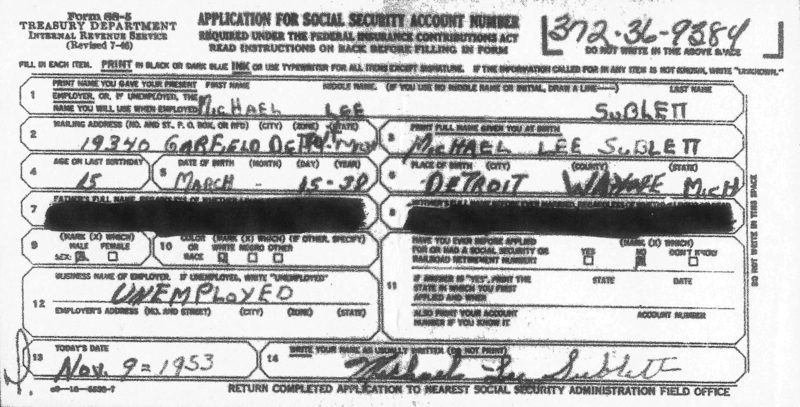 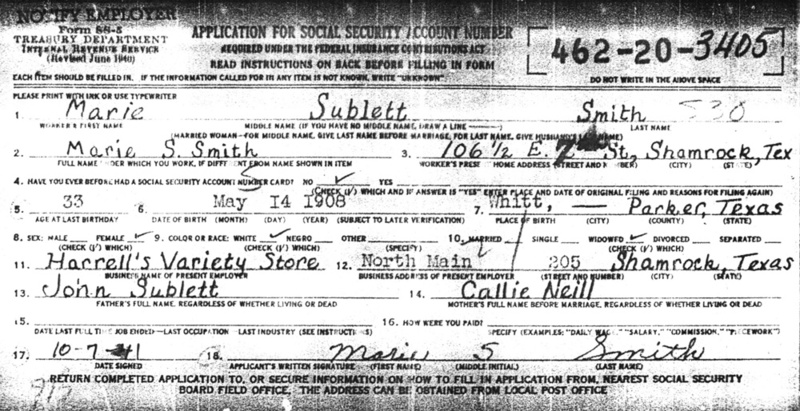 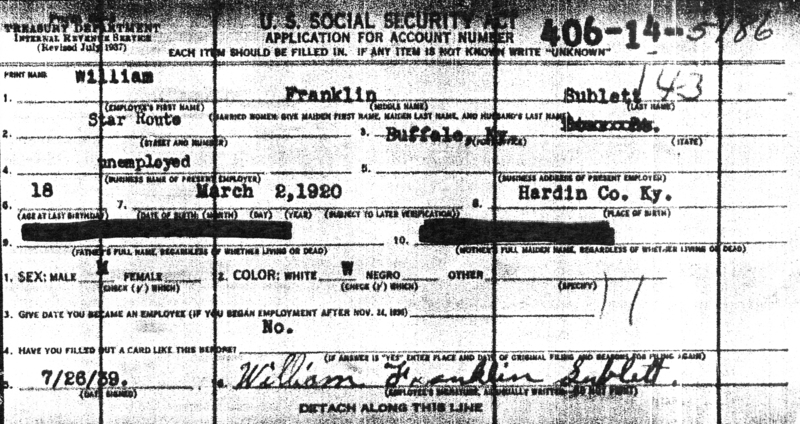 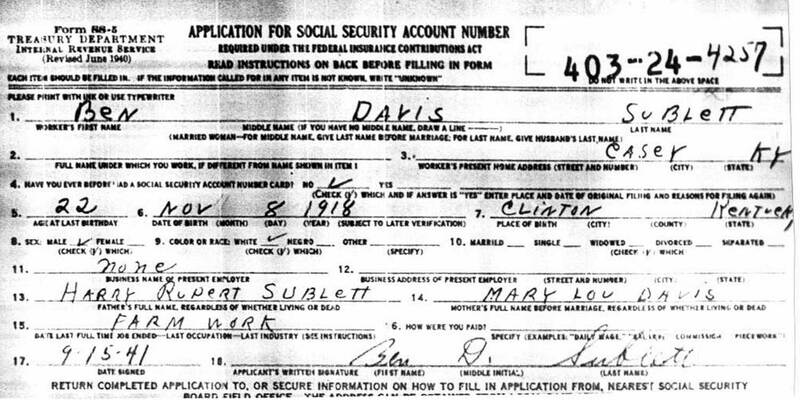 If you have any family documents -- such as Social Security applications, marriage certificates, death certificates, wills, historical letters, etc. 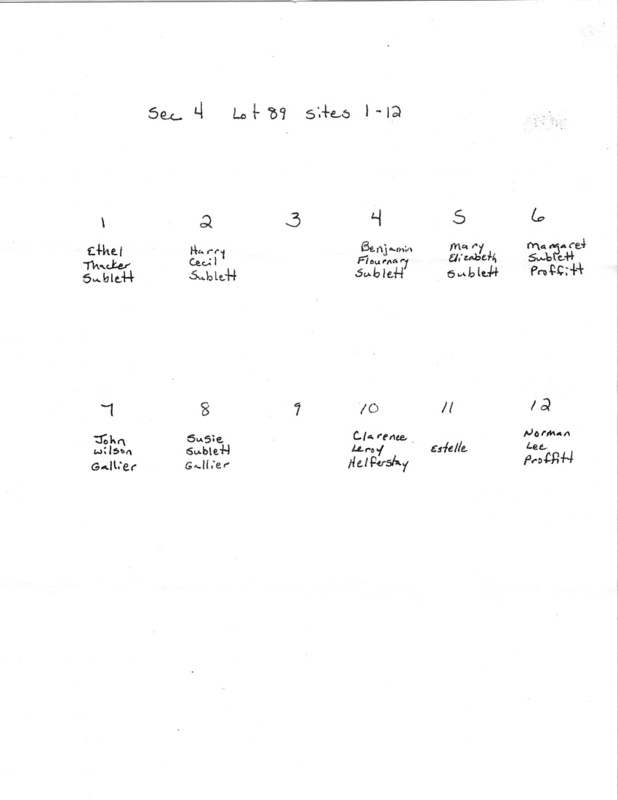 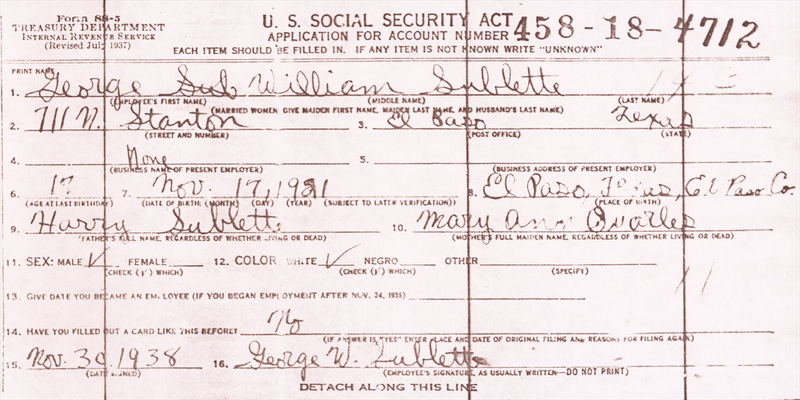 -- that you would like to contribute to this collection, or if there is a document missing here that we can acquire for you, please contact Phillip L. Sublett. 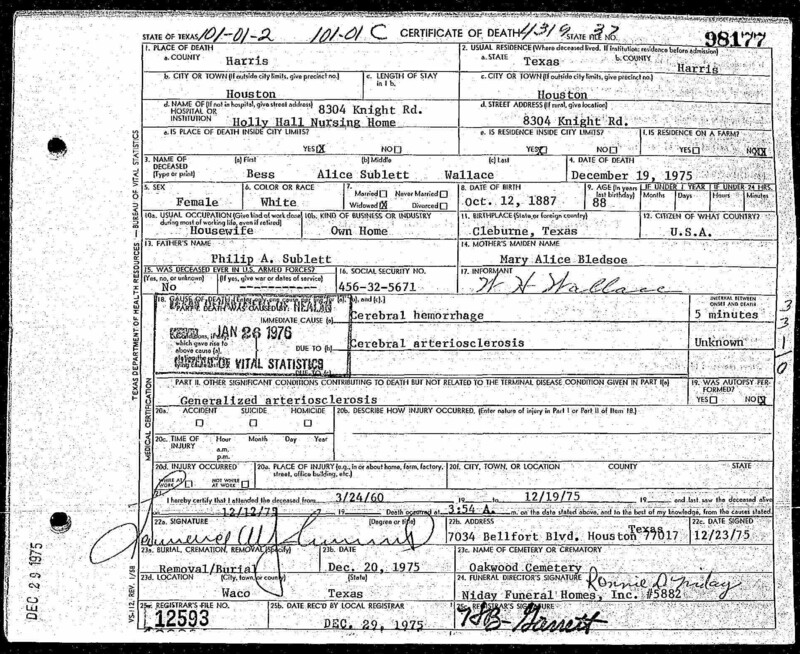 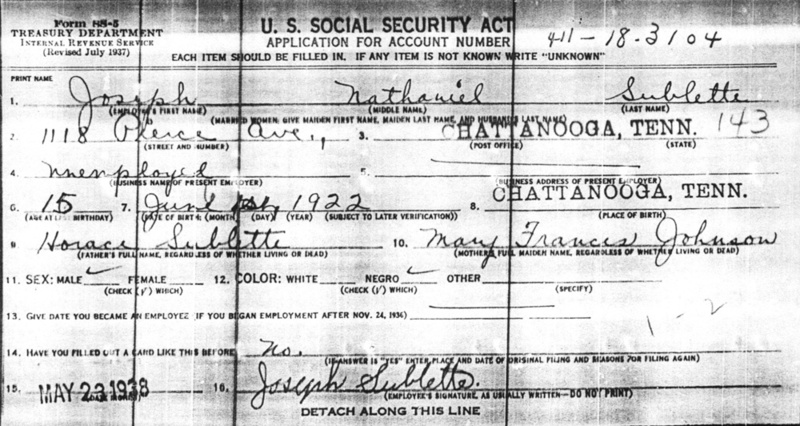 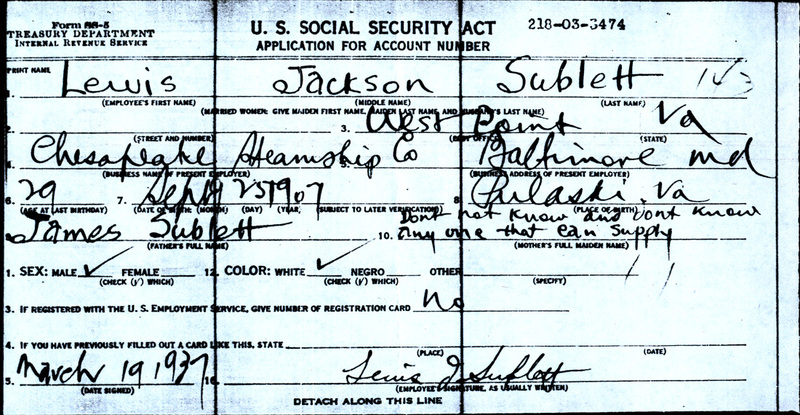 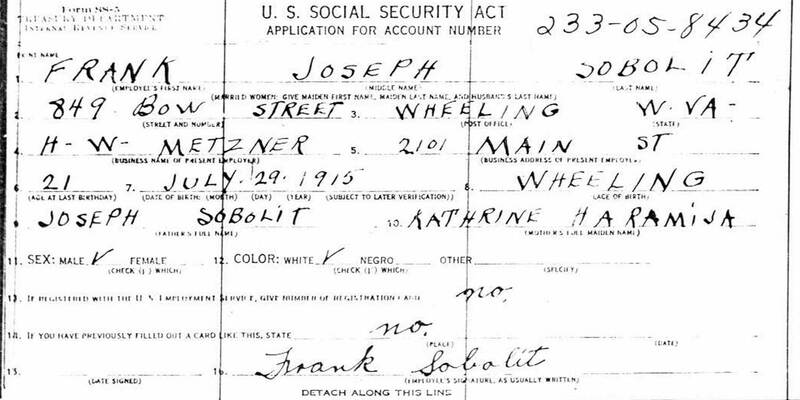 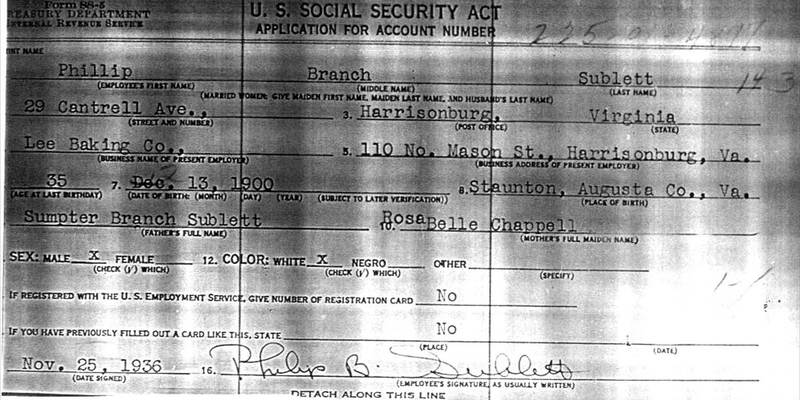 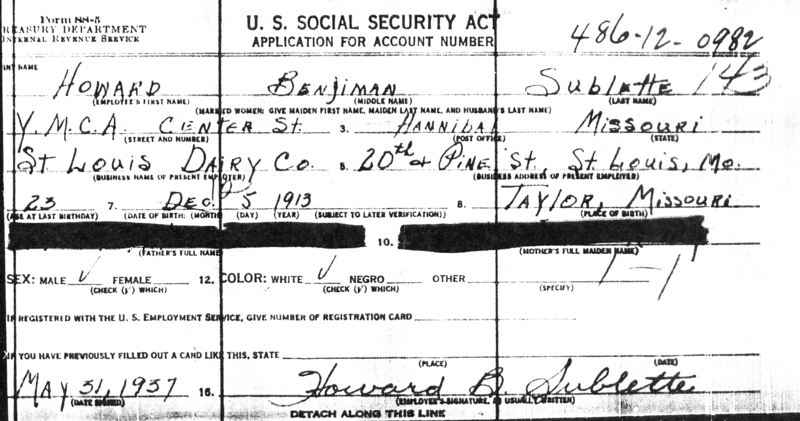 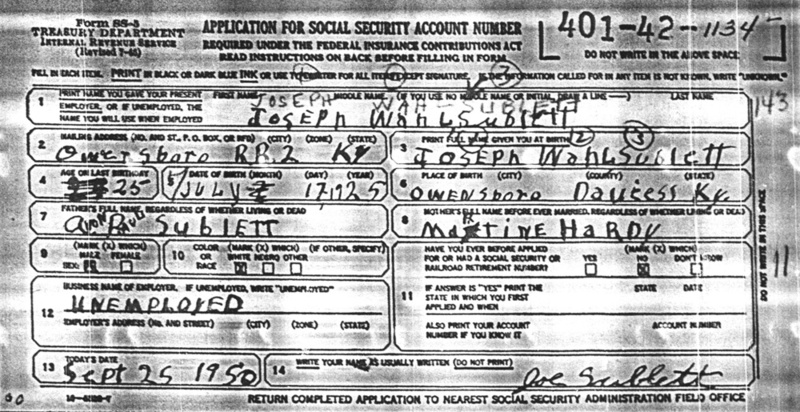 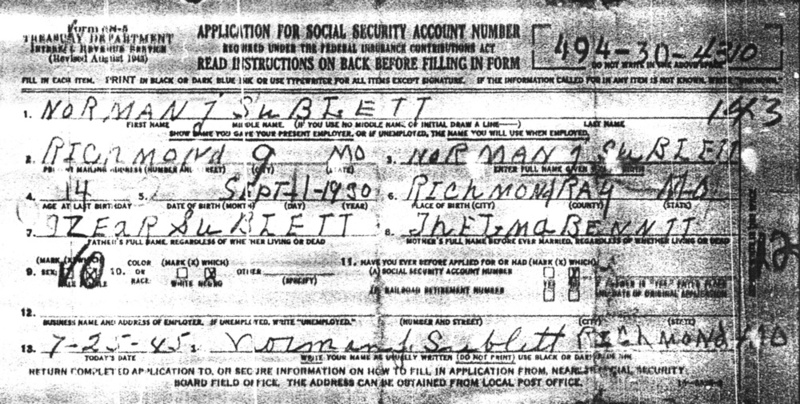 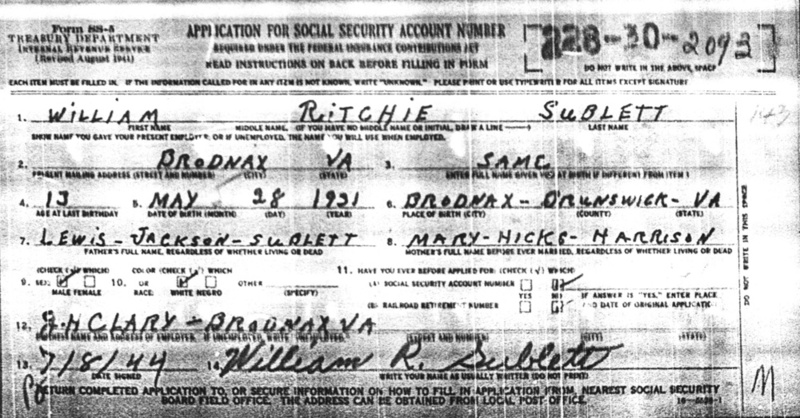 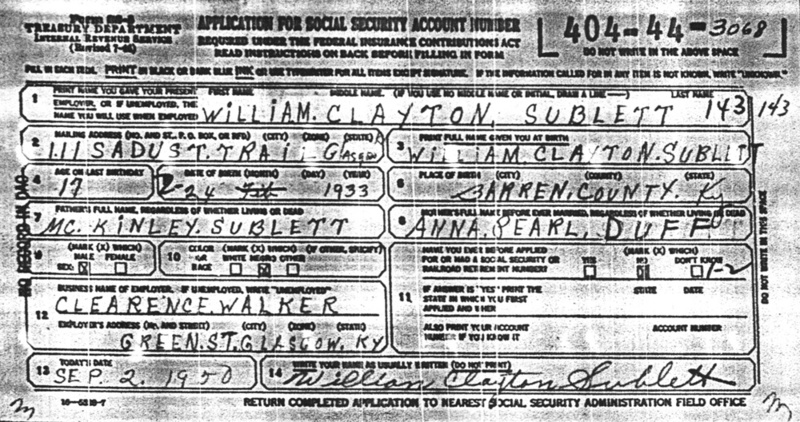 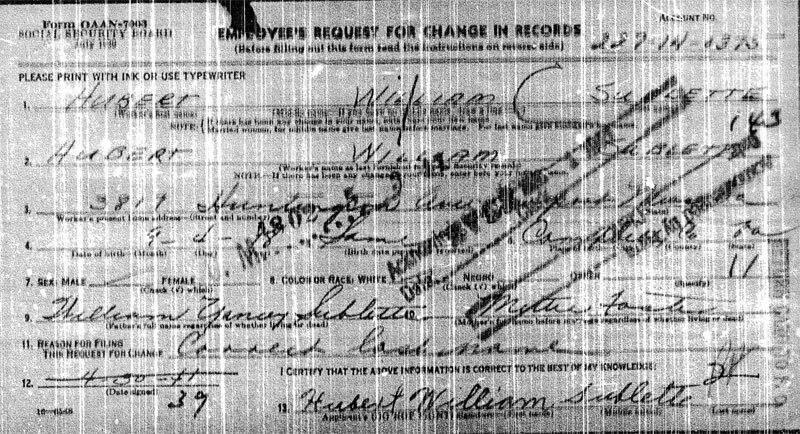 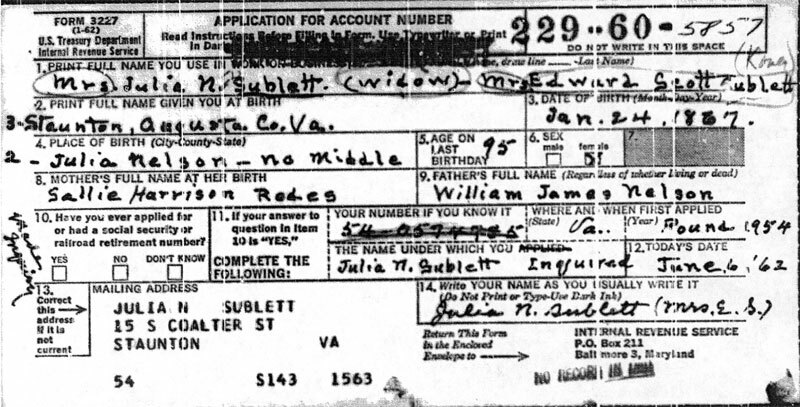 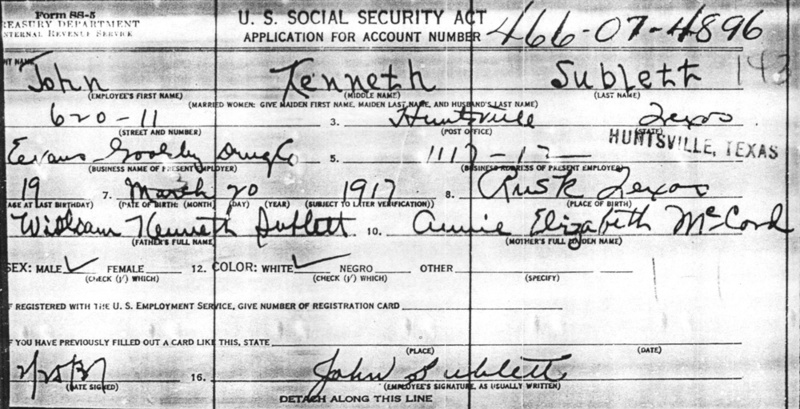 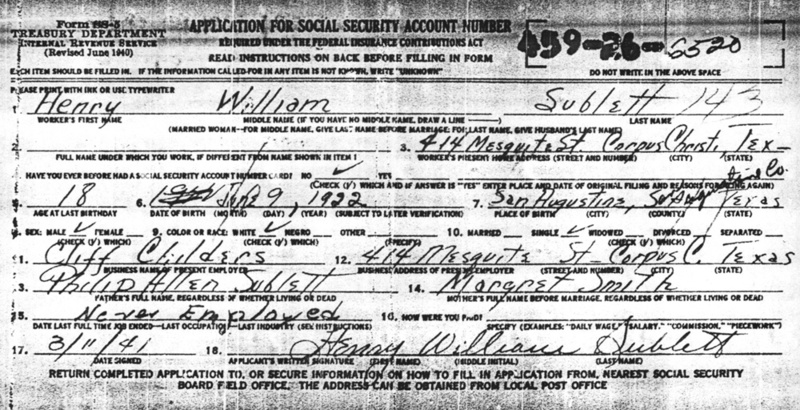 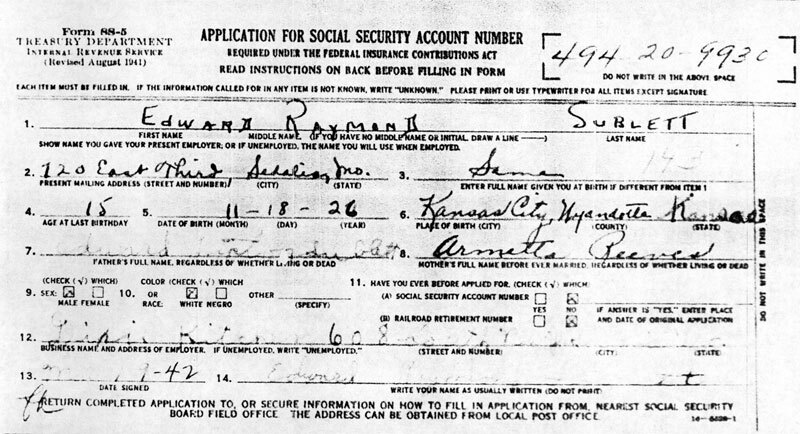 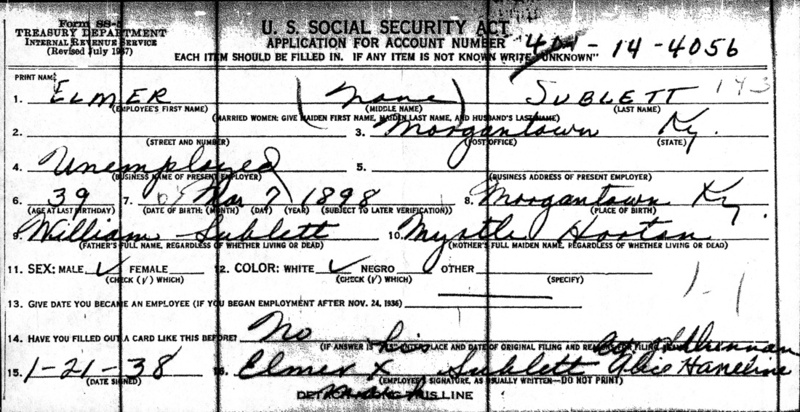 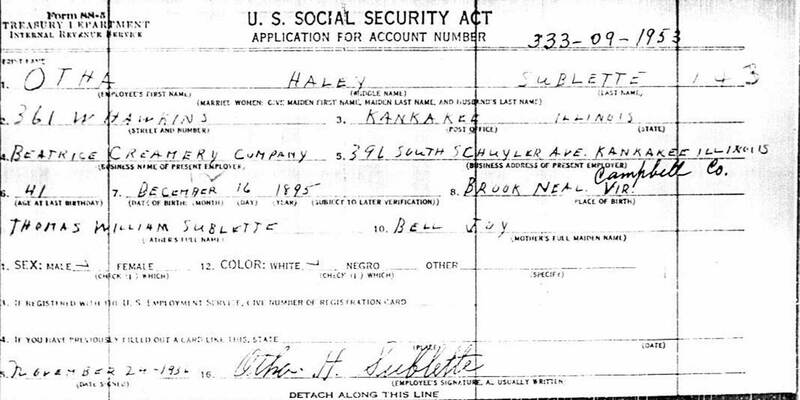 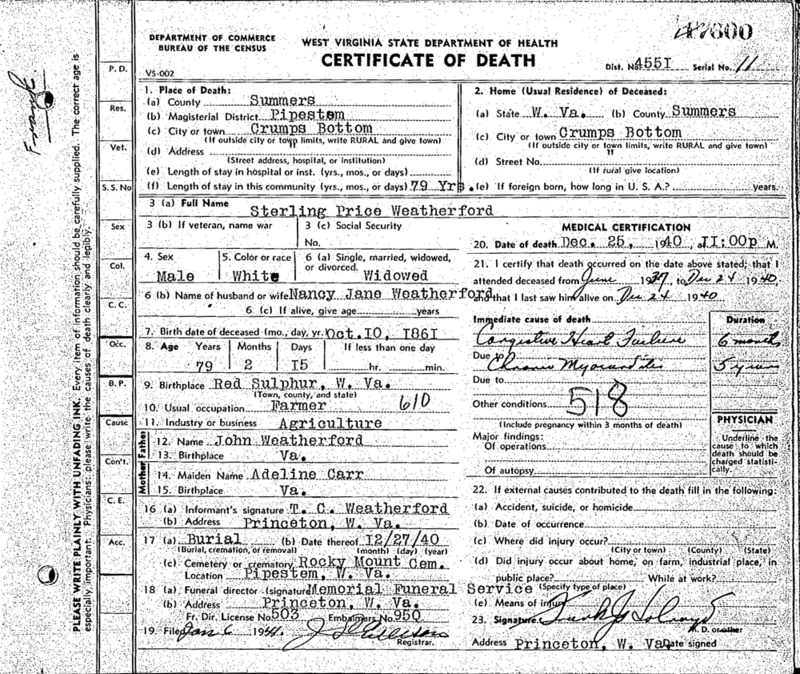 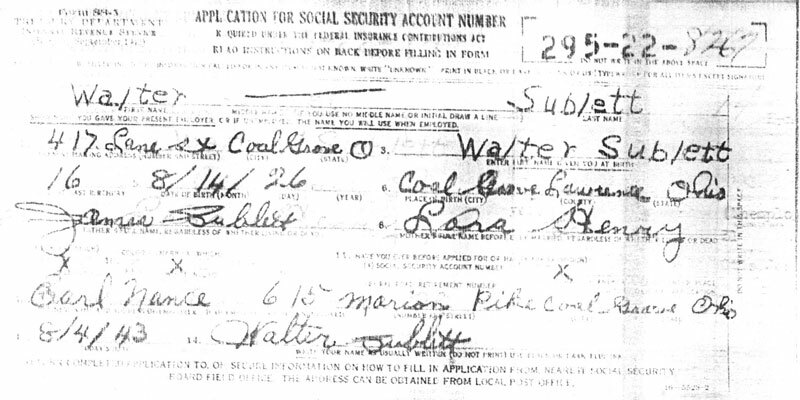 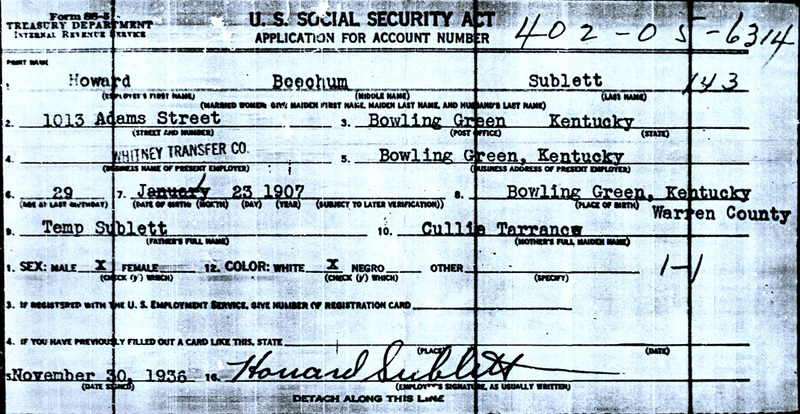 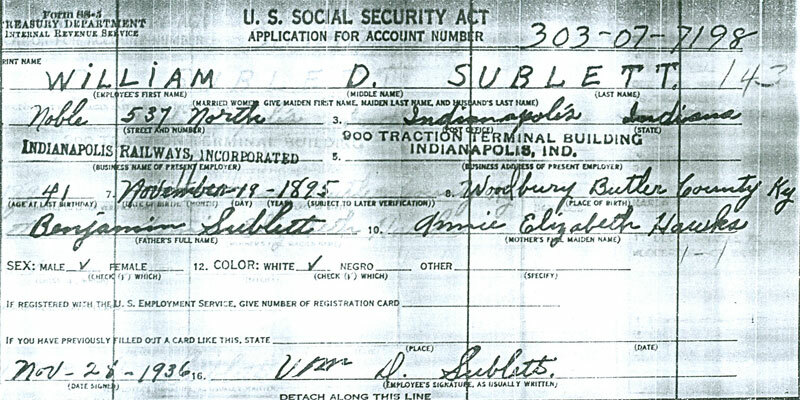 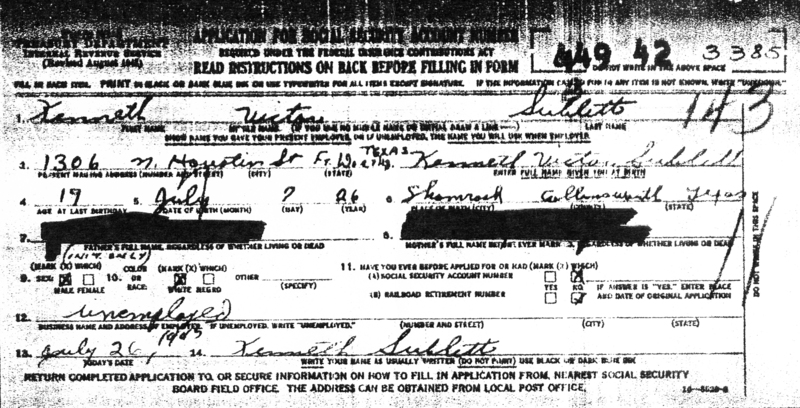 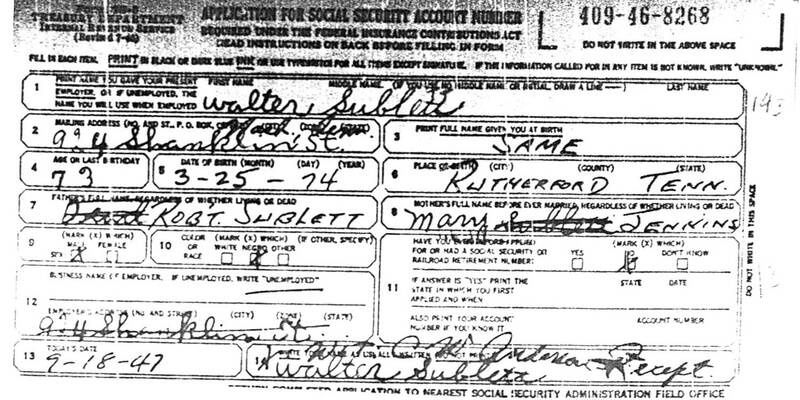 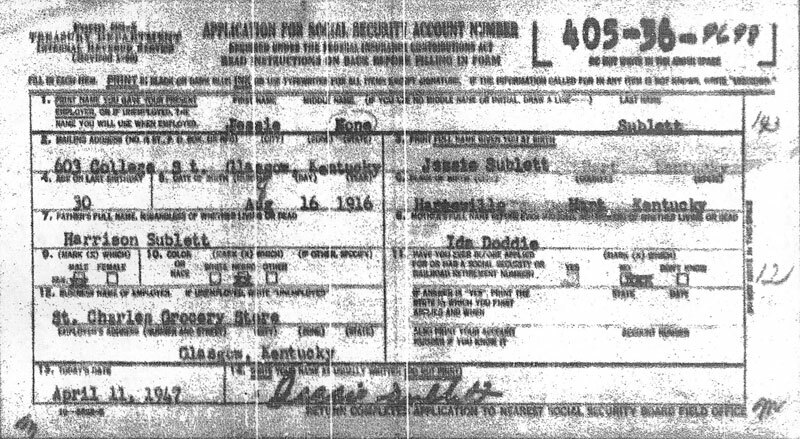 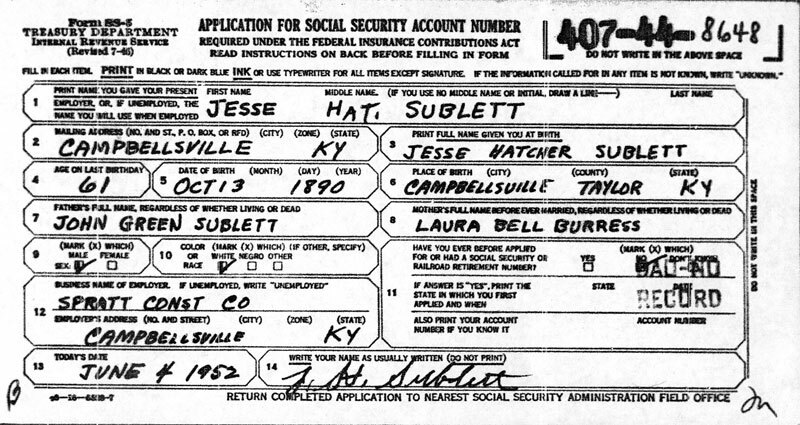 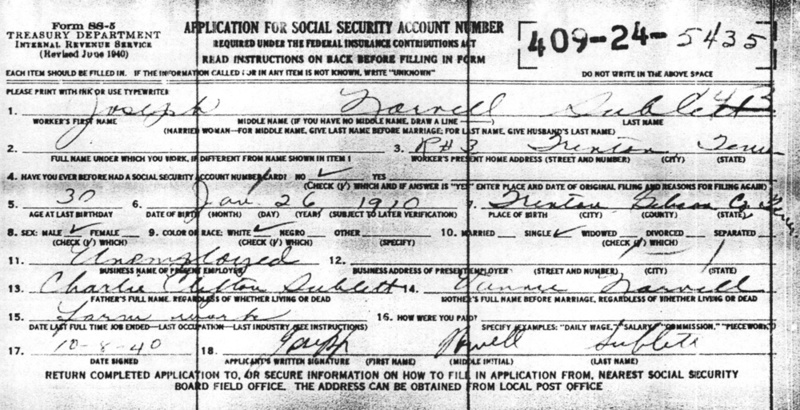 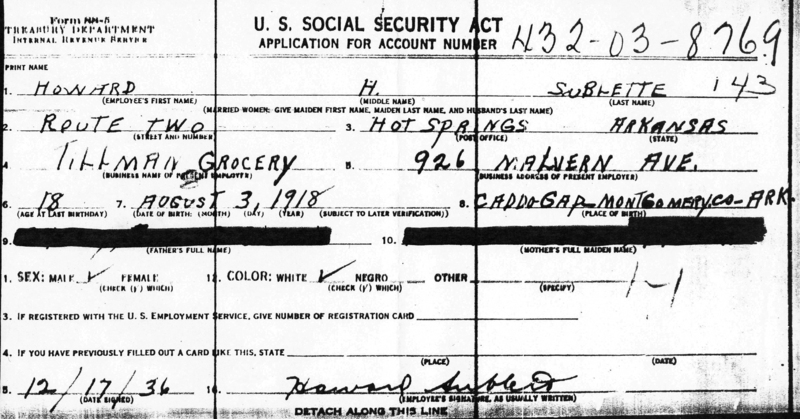 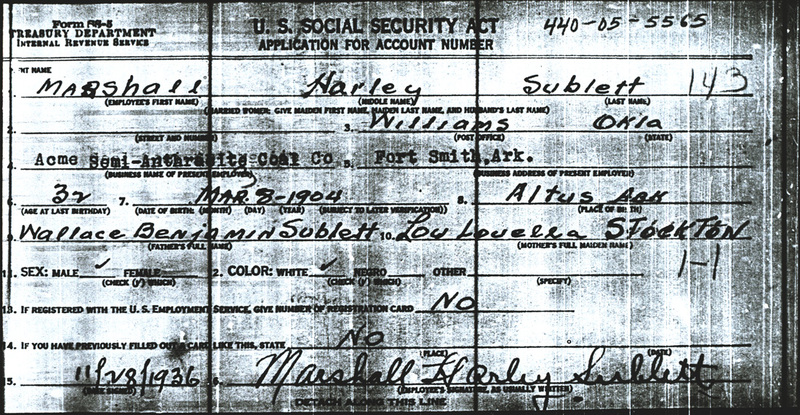 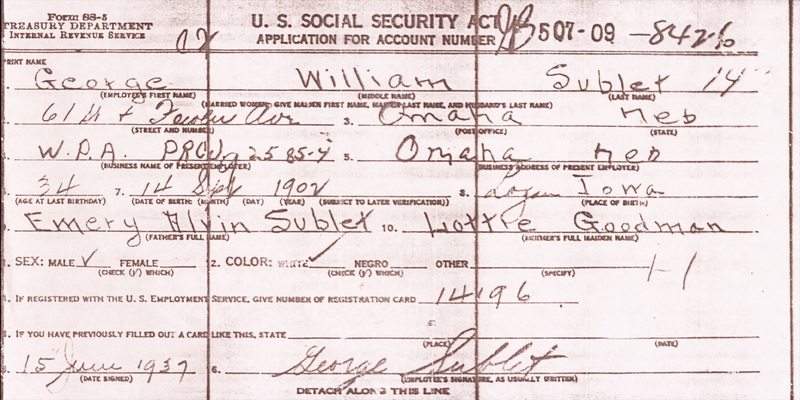 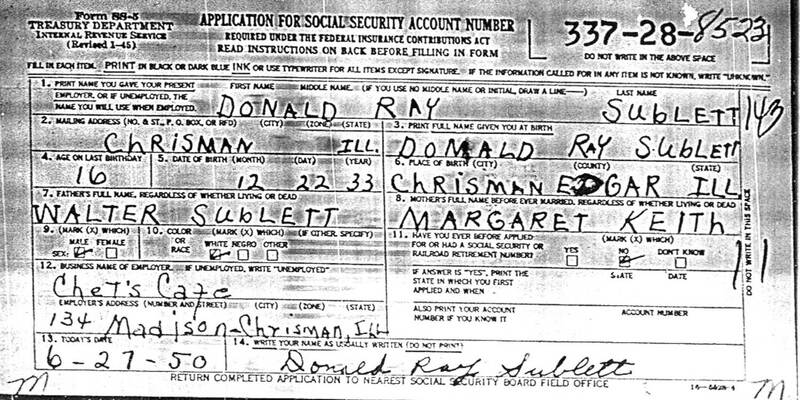 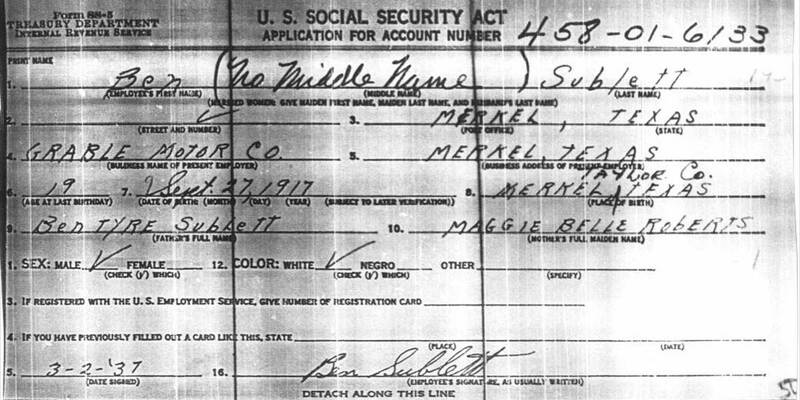 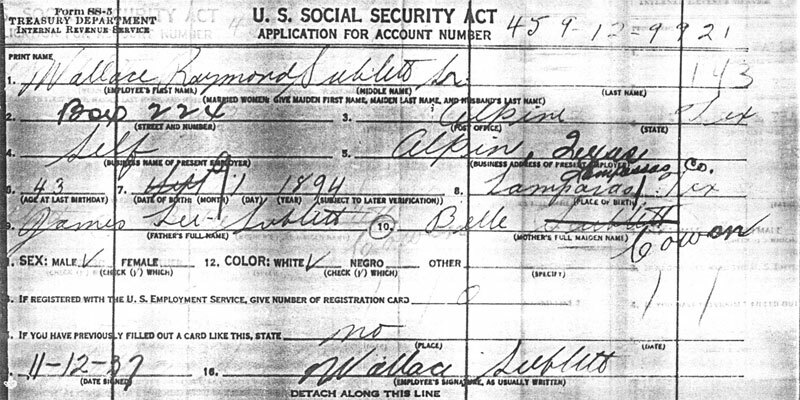 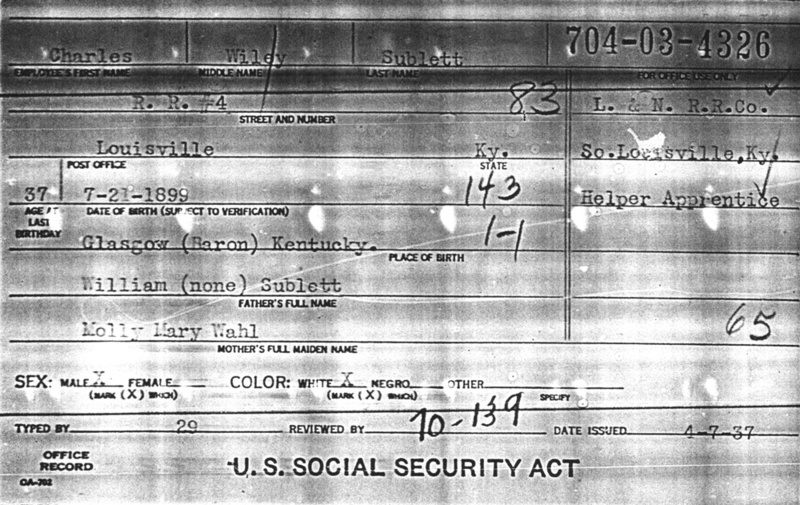 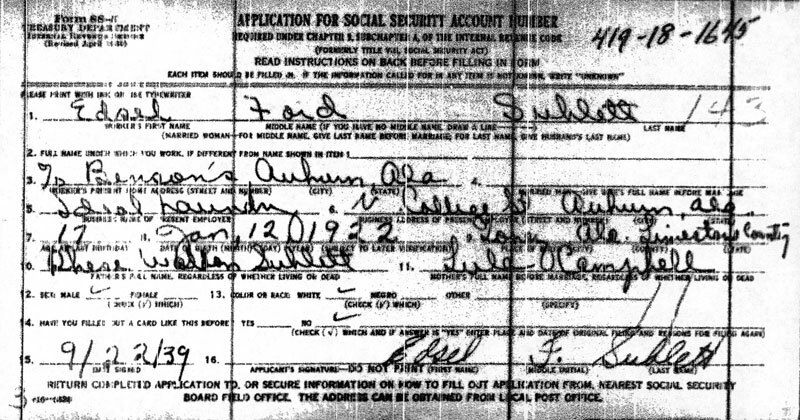 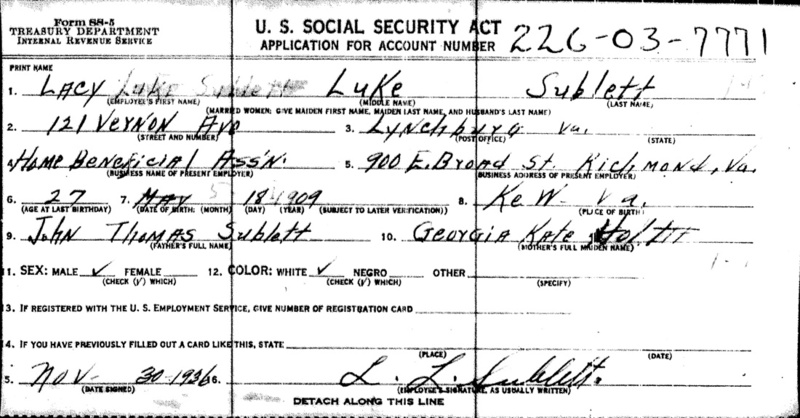 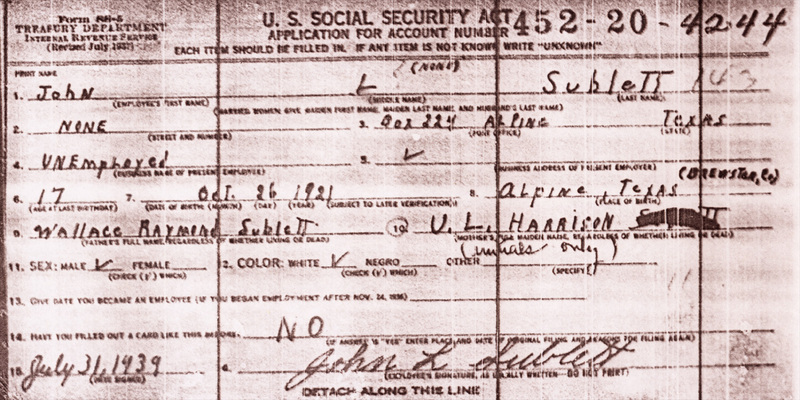 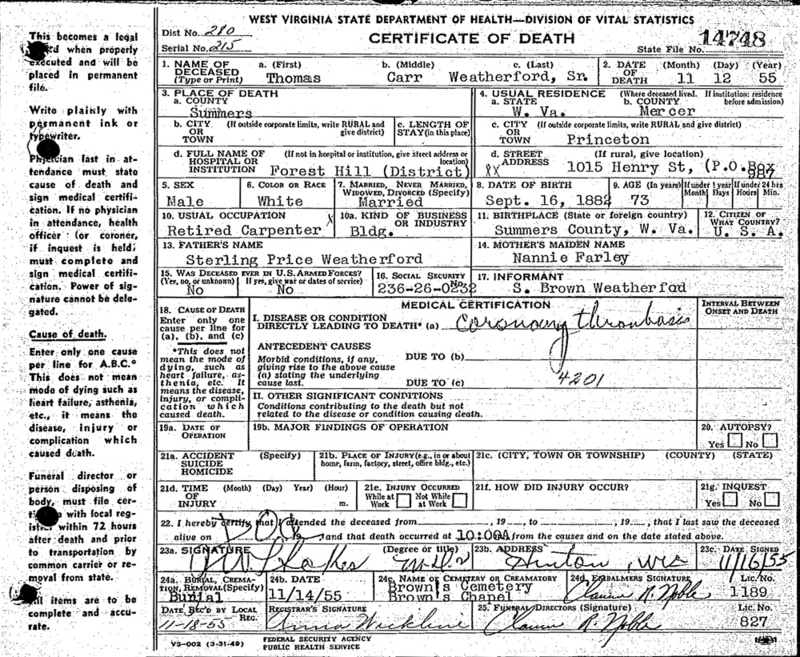 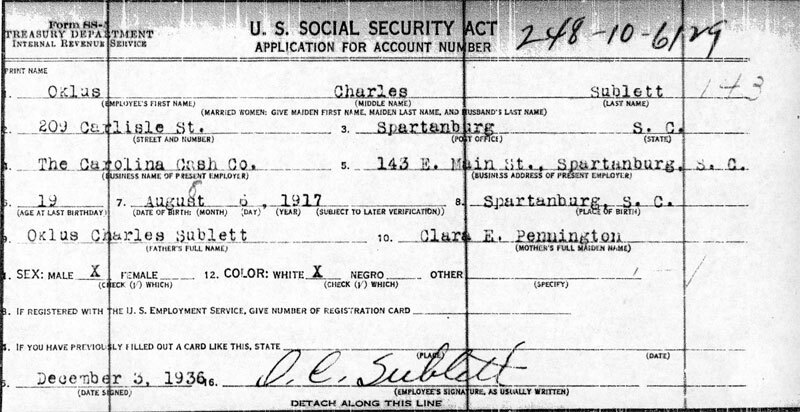 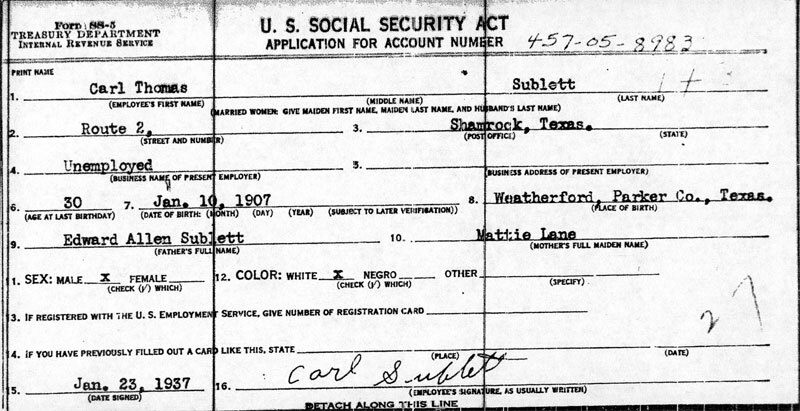 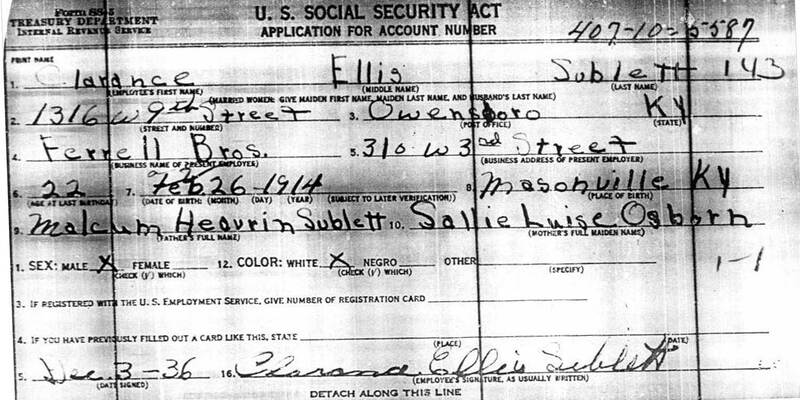 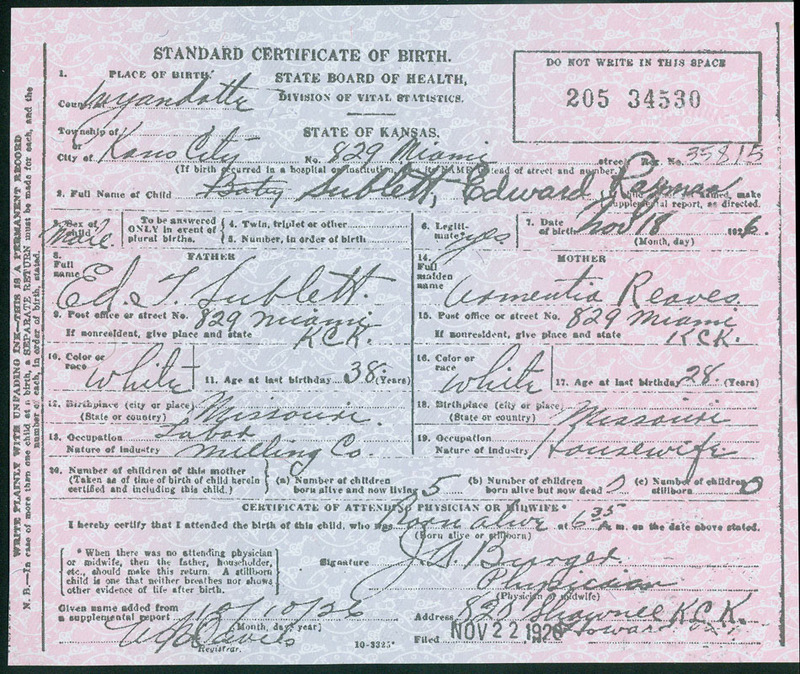 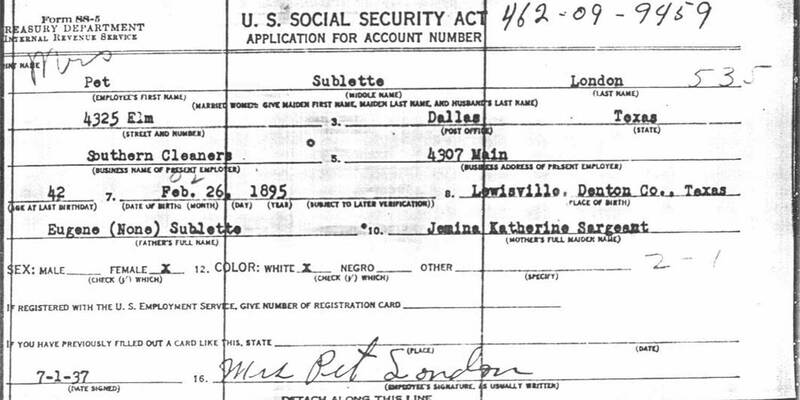 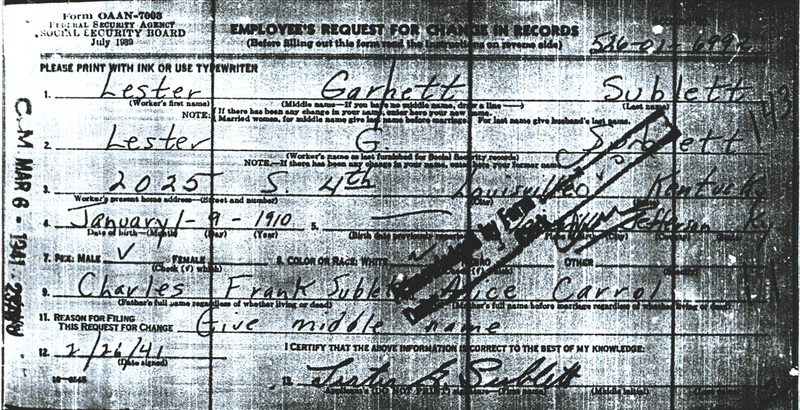 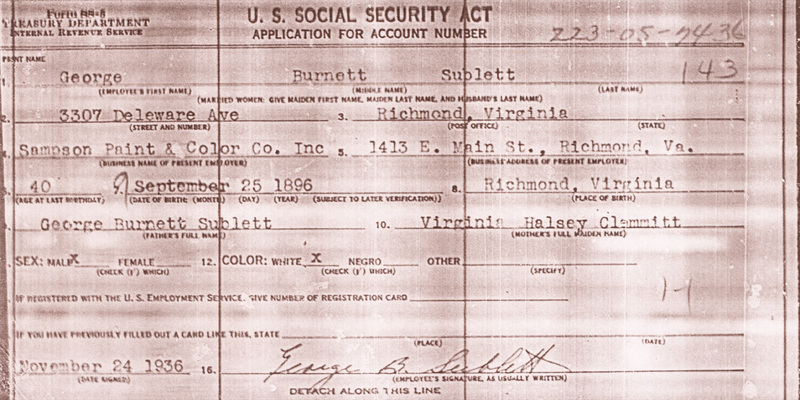 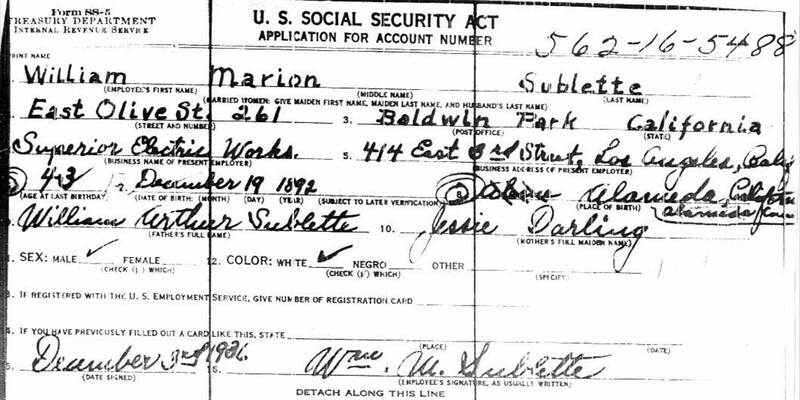 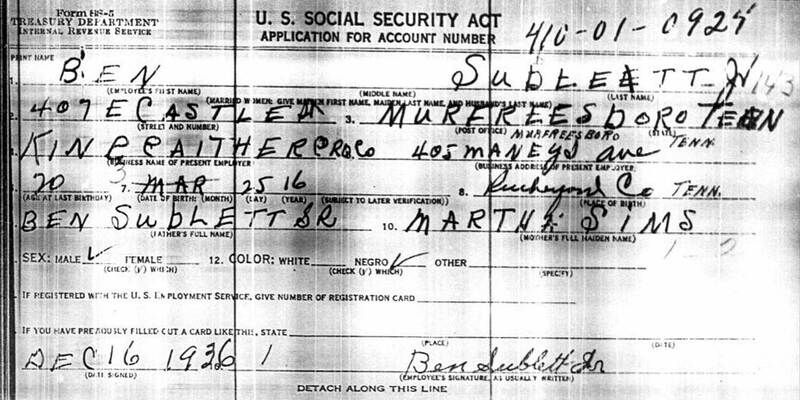 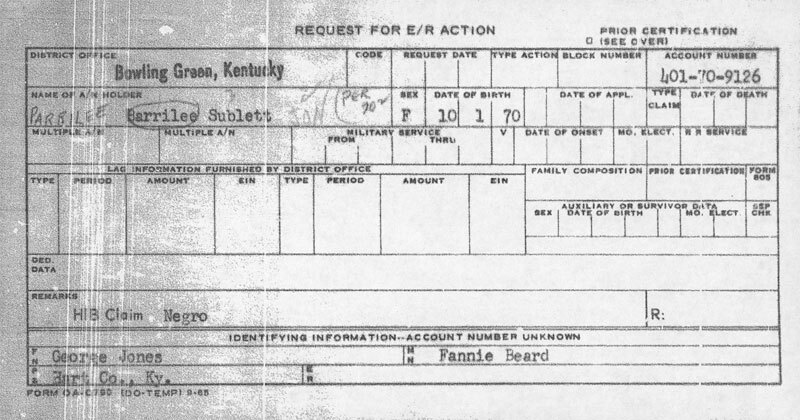 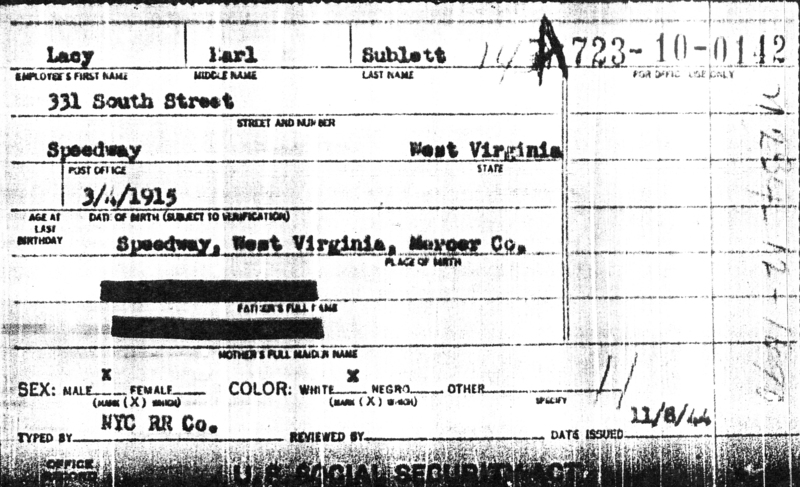 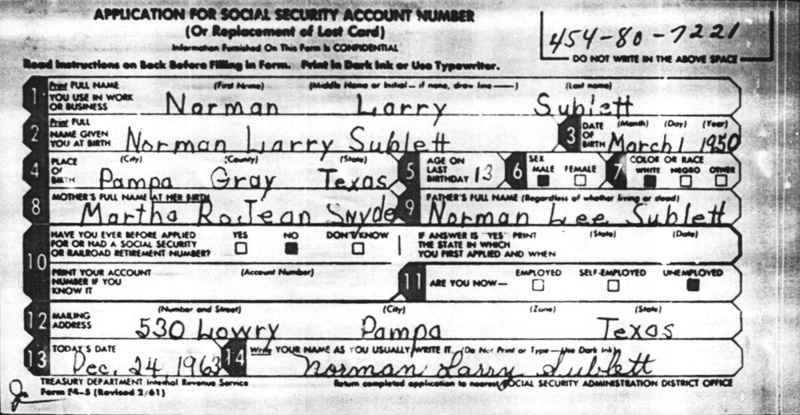 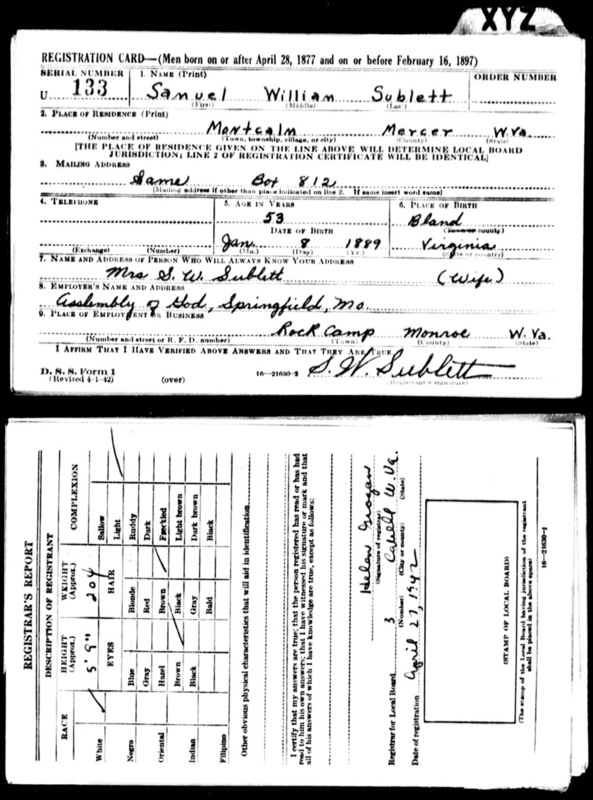 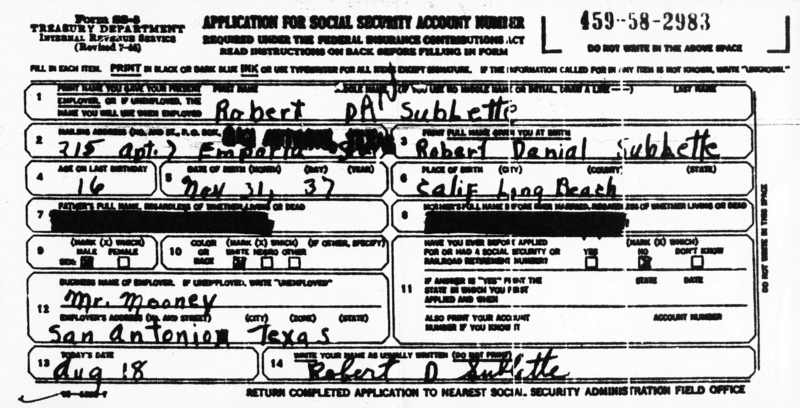 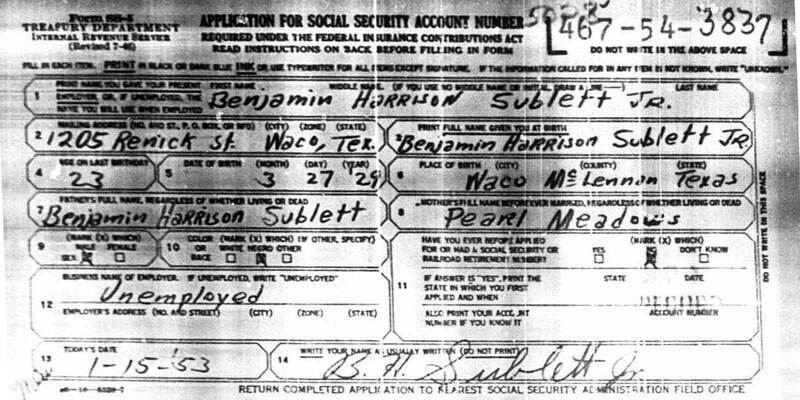 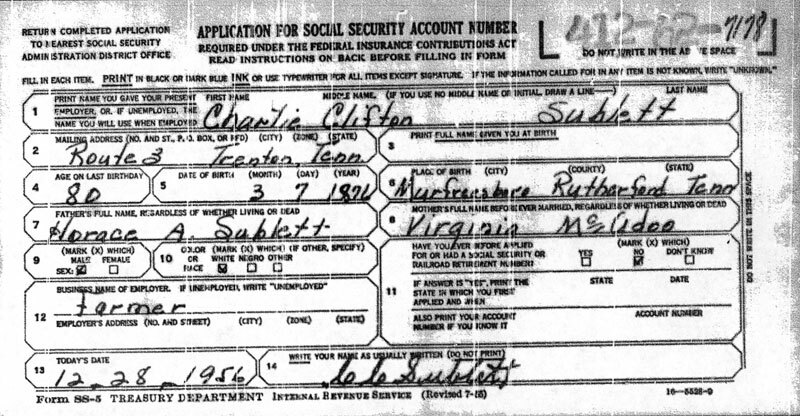 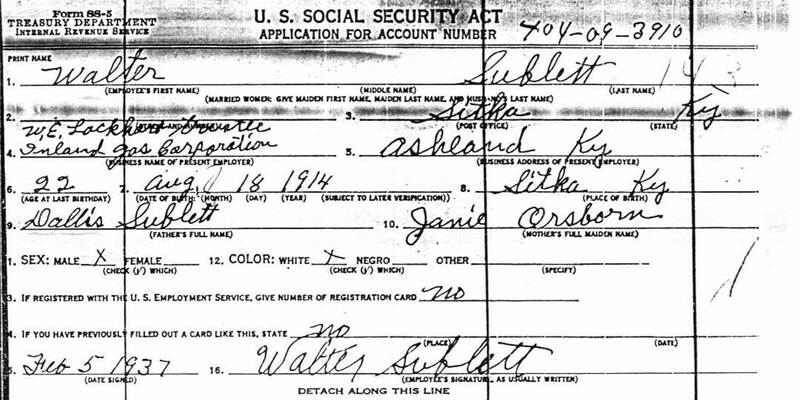 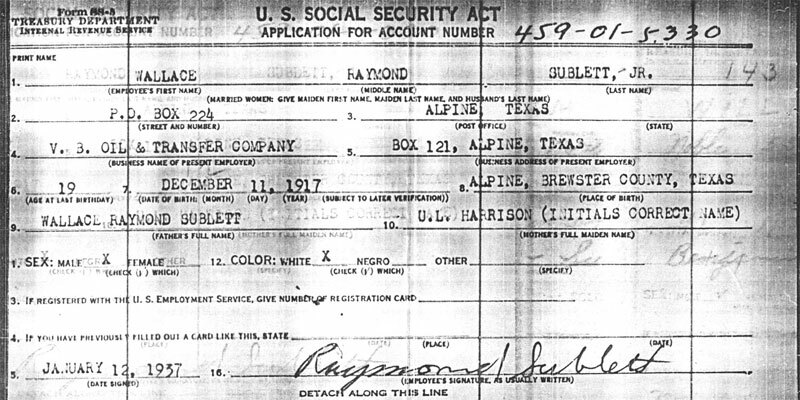 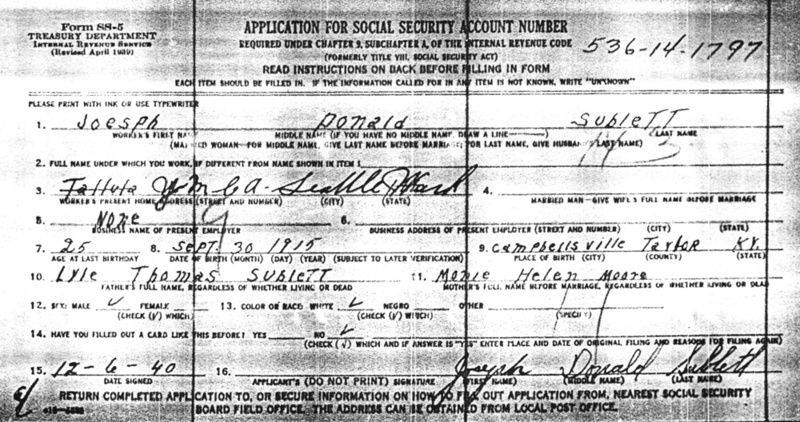 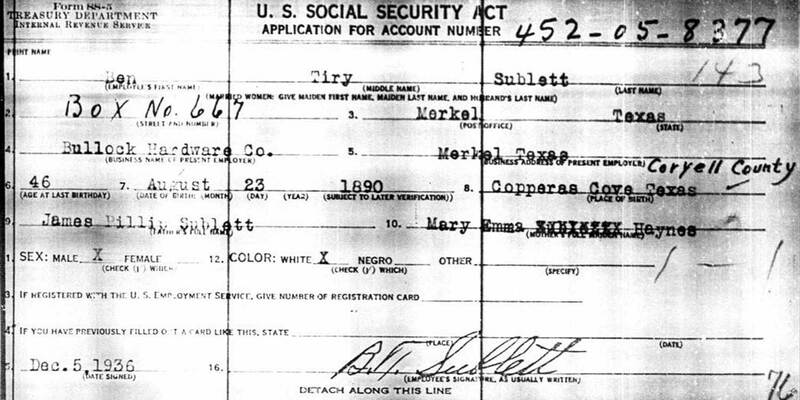 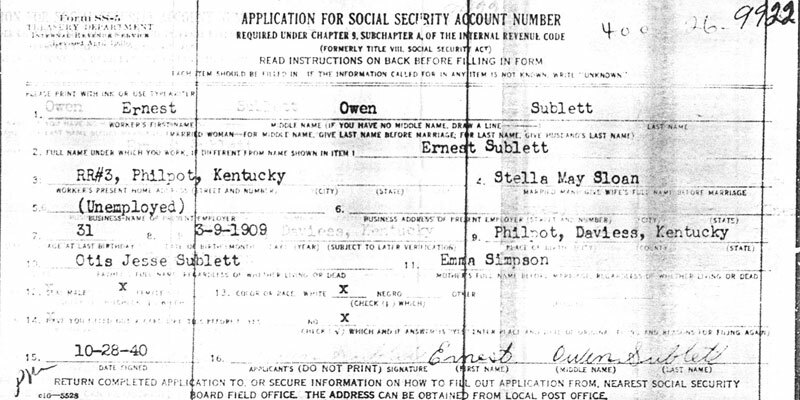 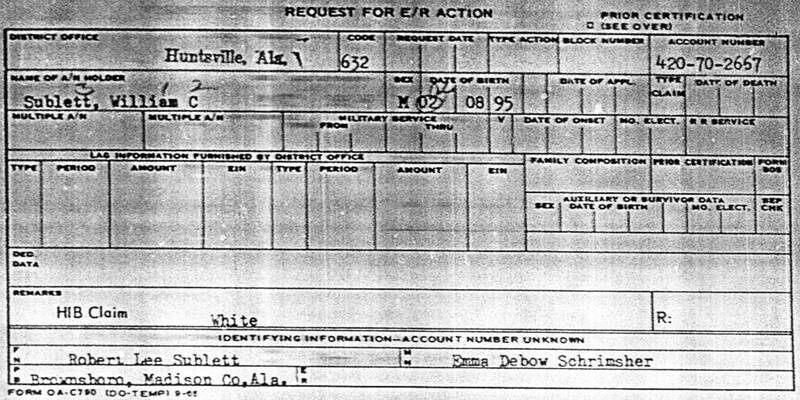 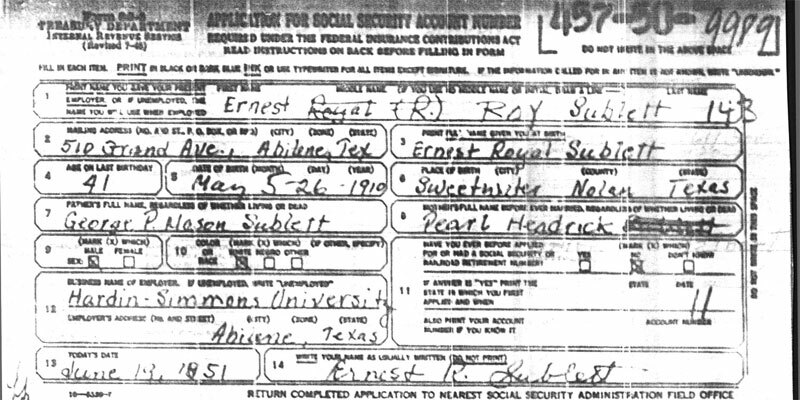 Name: Benjamin Harrison Sublett, Jr.
Name: Joel Arther Sublette, Jr.
Name: Wallace Raymond Sublett, Sr.
Name: Wallace Raymond Sublett, Jr.
Name: Thomas Carr Weatherford, Sr. 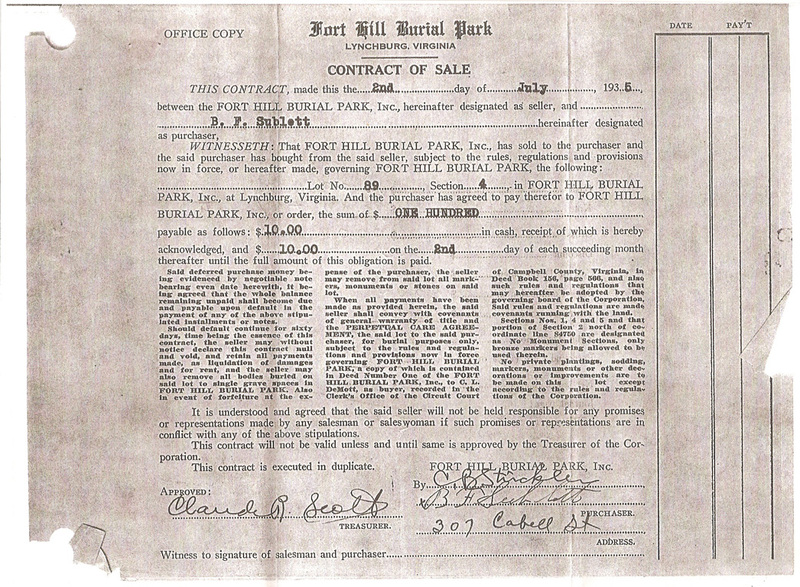 Document description: Signed, 25-cent scrip note, Richmond, Virginia, March 1, 1862. 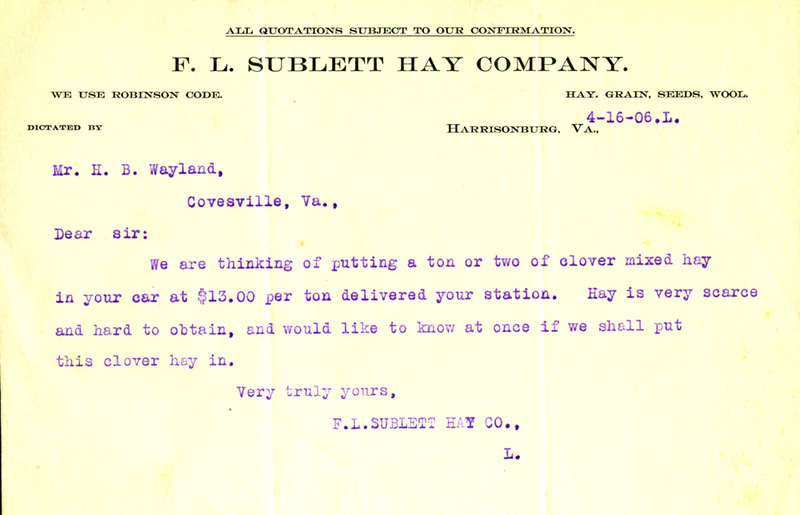 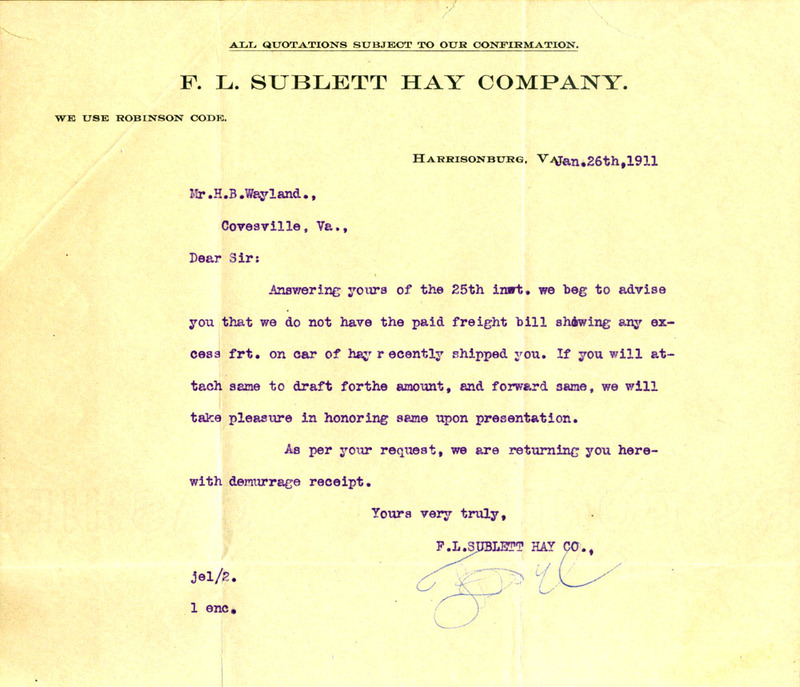 Document description: Business letters from the F. L. Sublett Hay Company of Harrisonburg, Virginia, addressed to Mr. H. B. Wayland of Covesville, Virginia. 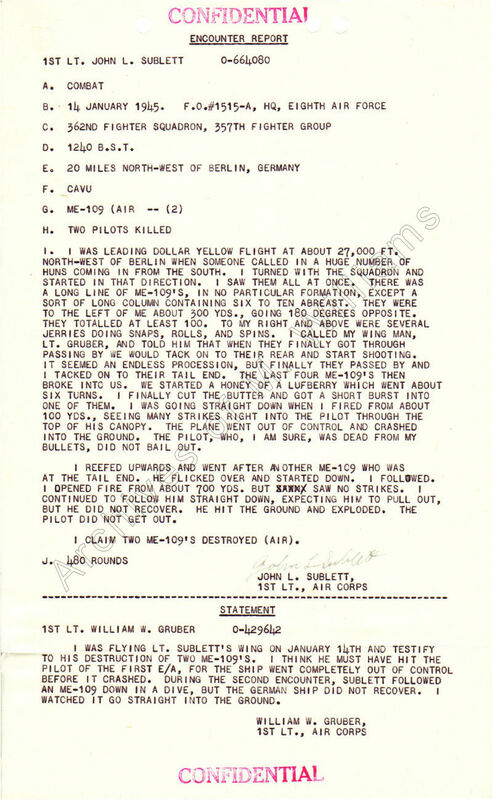 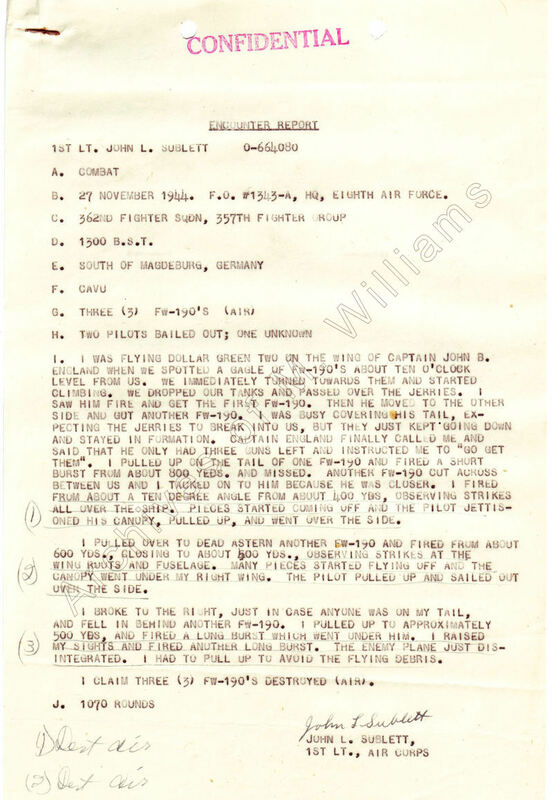 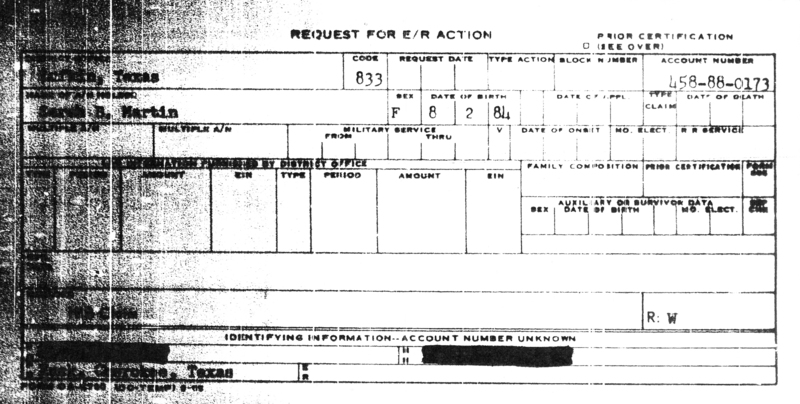 Document description: World War II aerial combat reports, 357th Fighter Group.